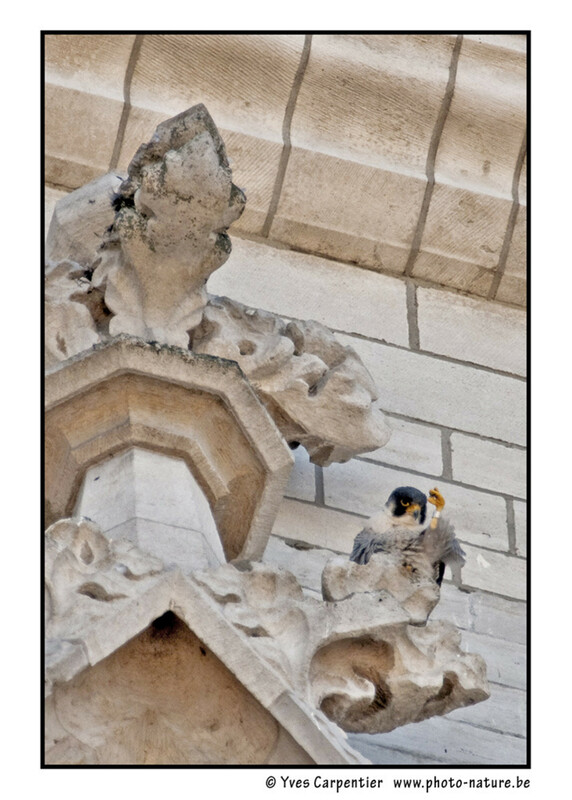 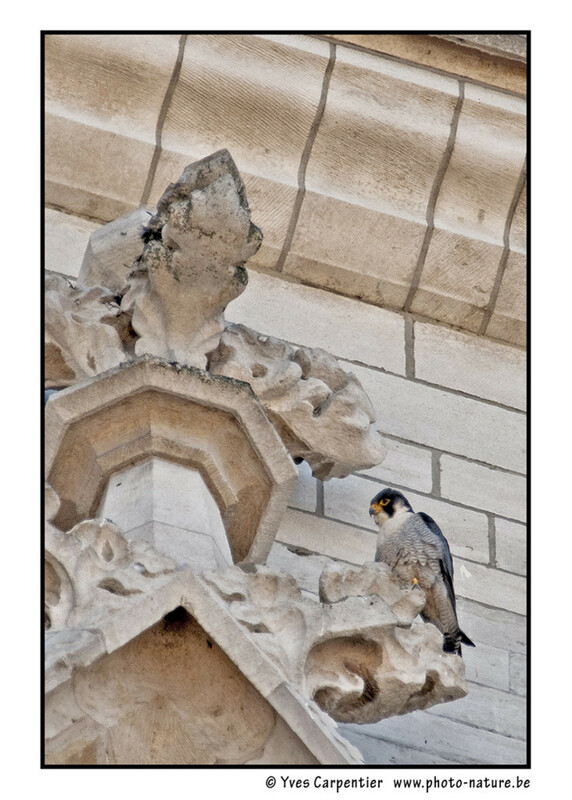 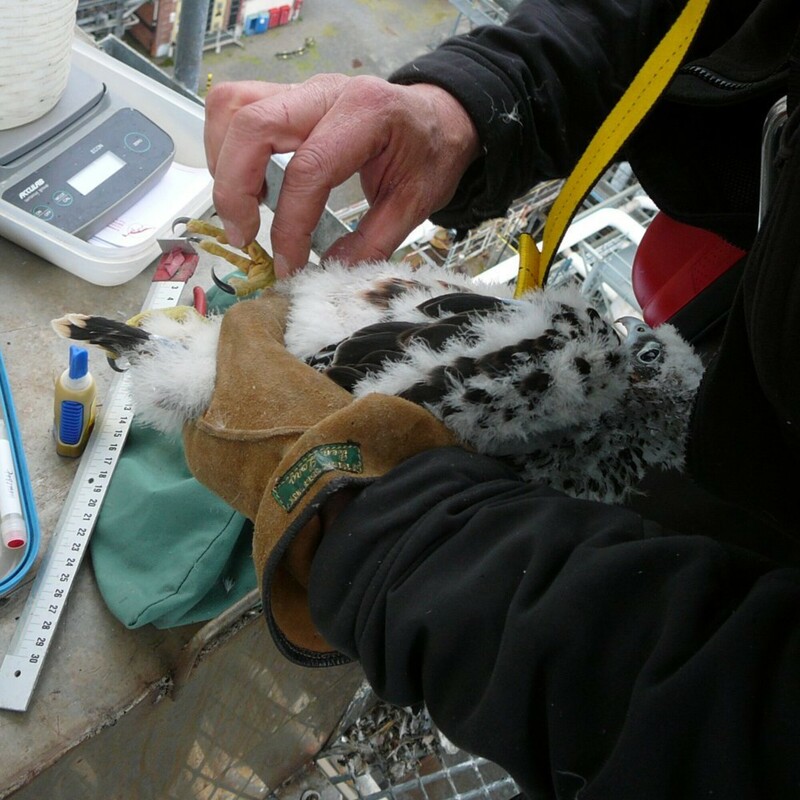 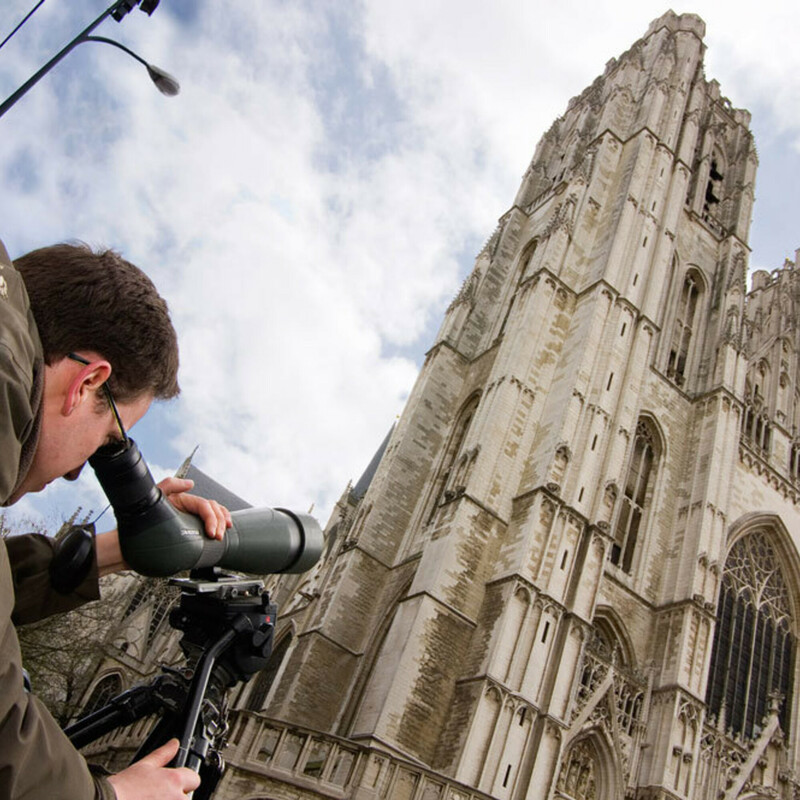 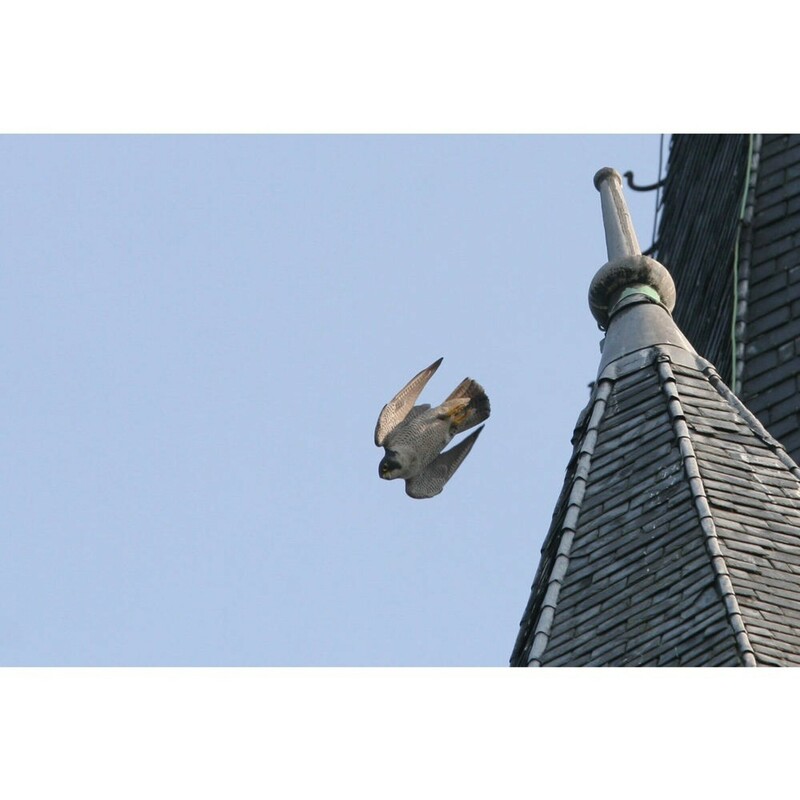 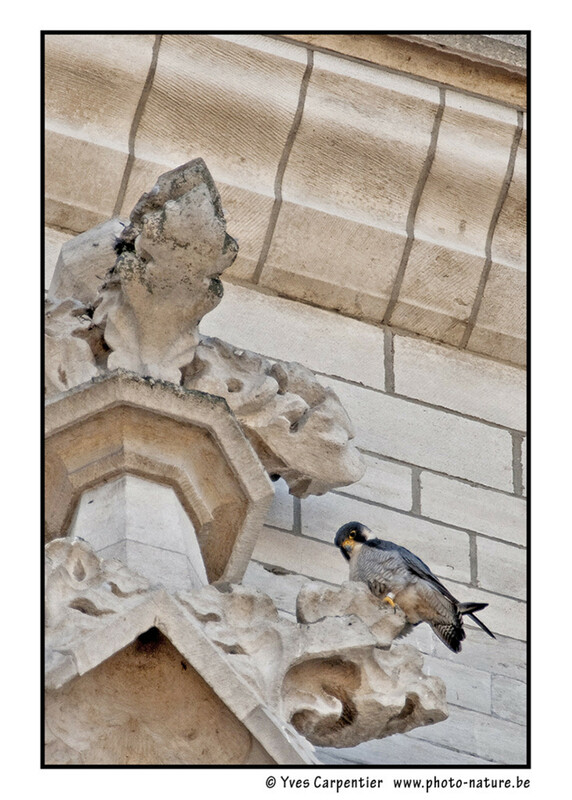 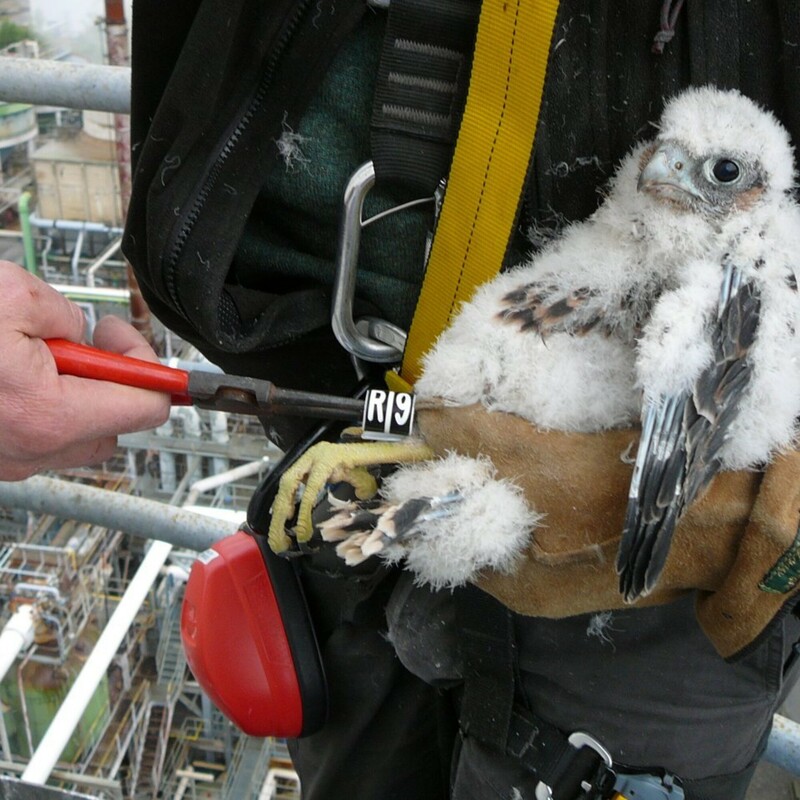 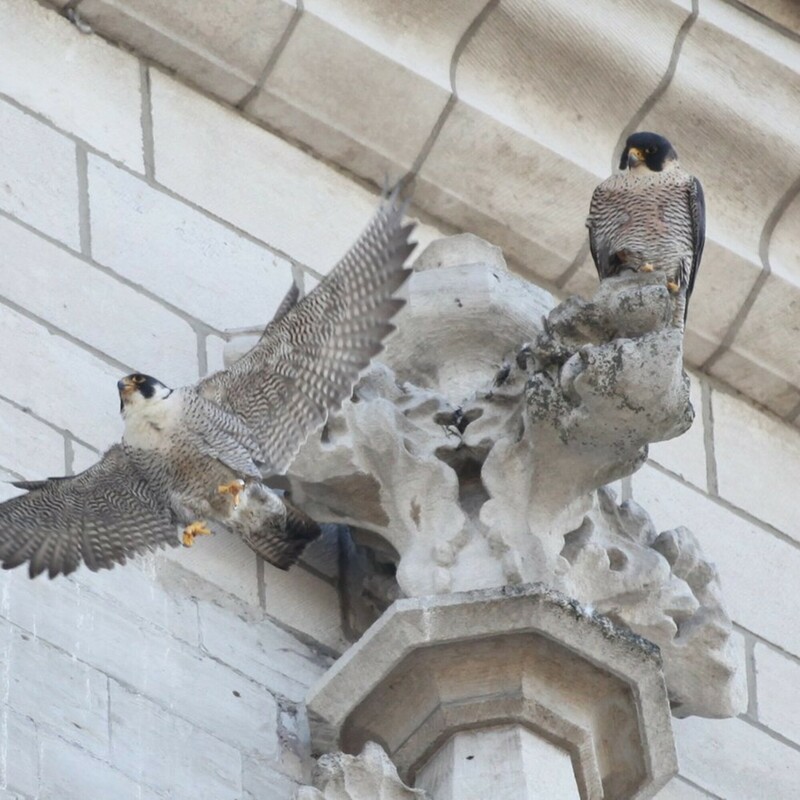 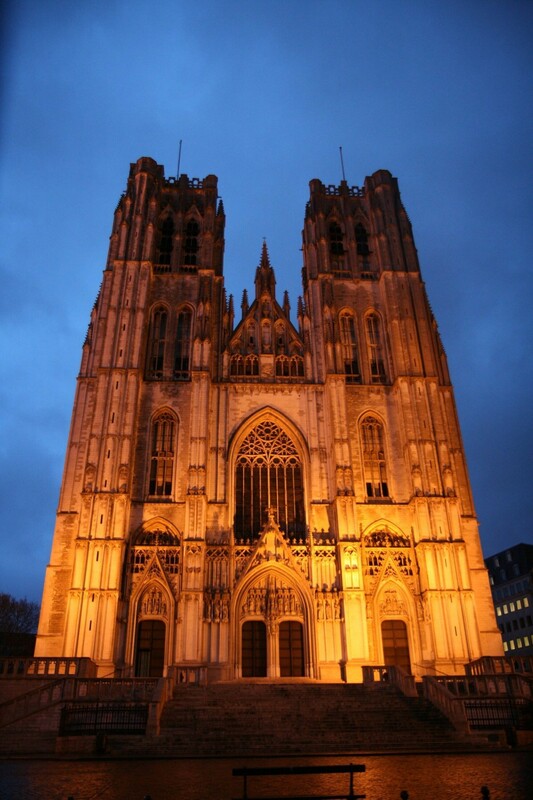 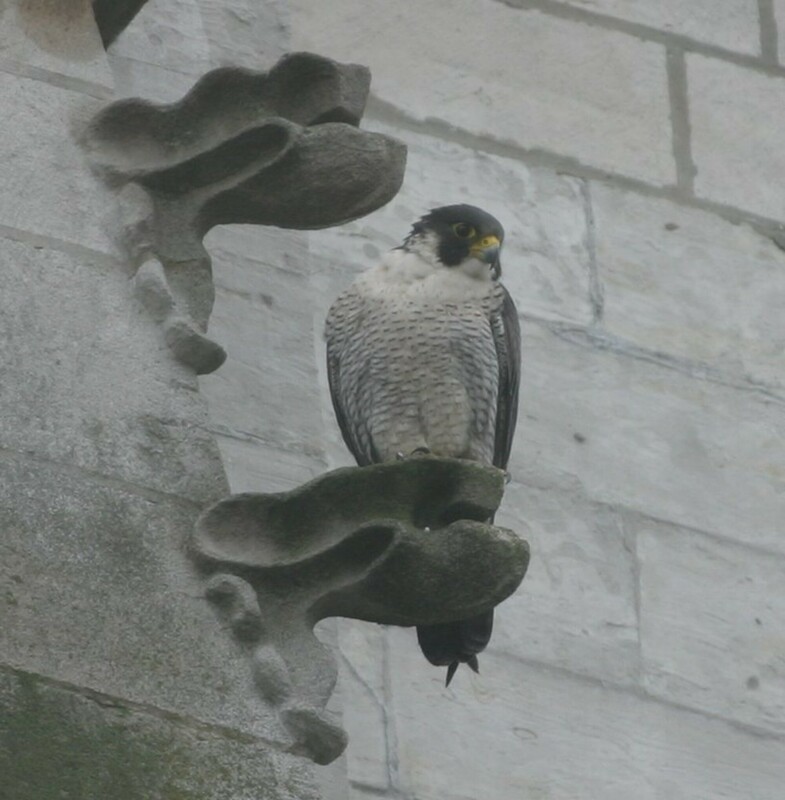 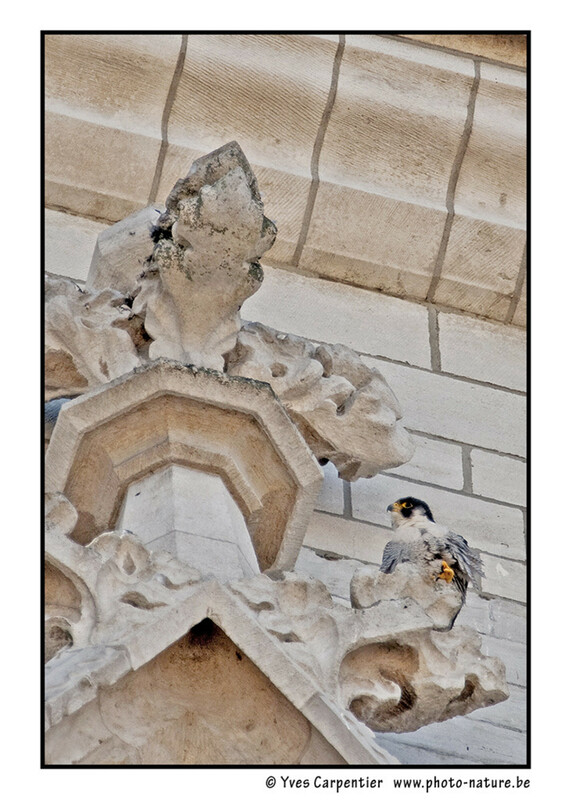 It was 15 years ago when a pair of Peregrine Falcons set up at the top of the Cathedral of St. Michael and St. Gudula, in the historic heart of Brussels. 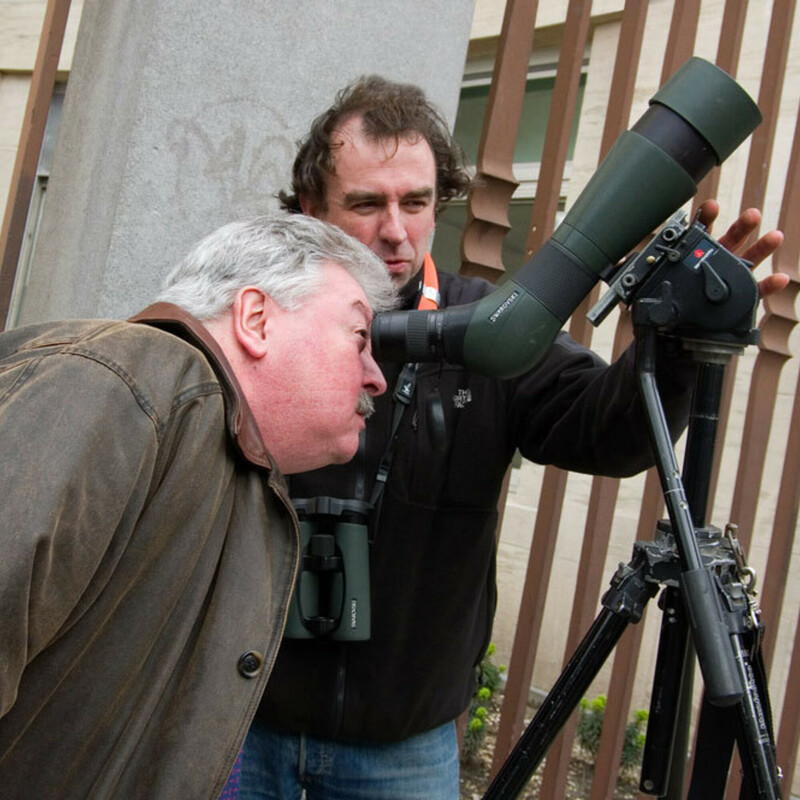 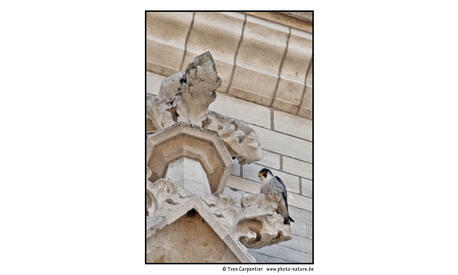 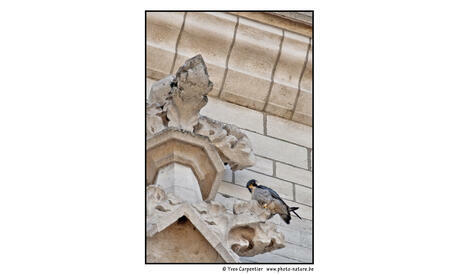 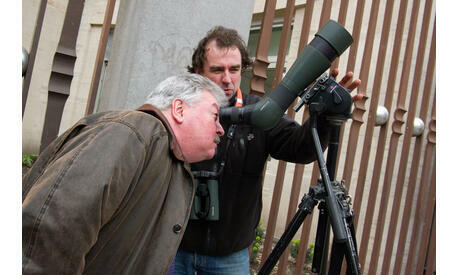 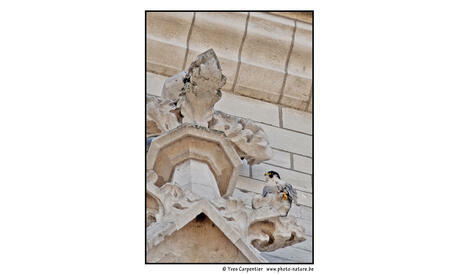 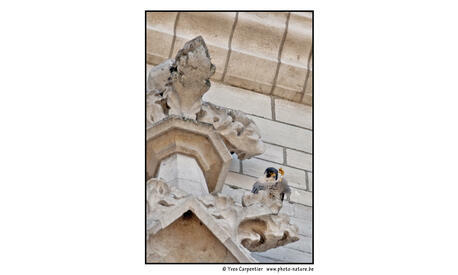 In any ornithologist living memory, a pair of Peregrines in Brussels, it's unheard! 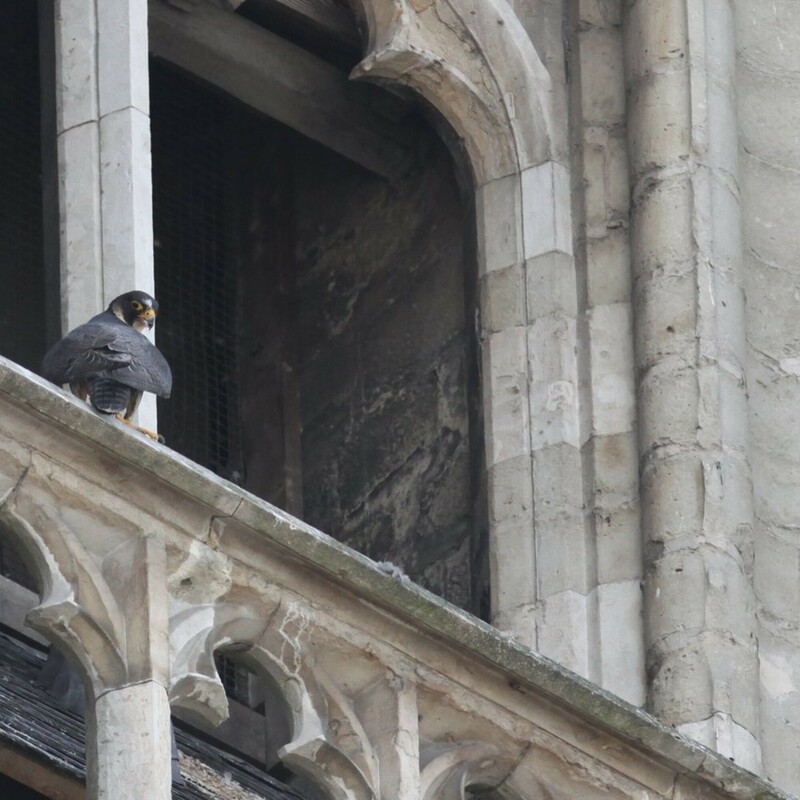 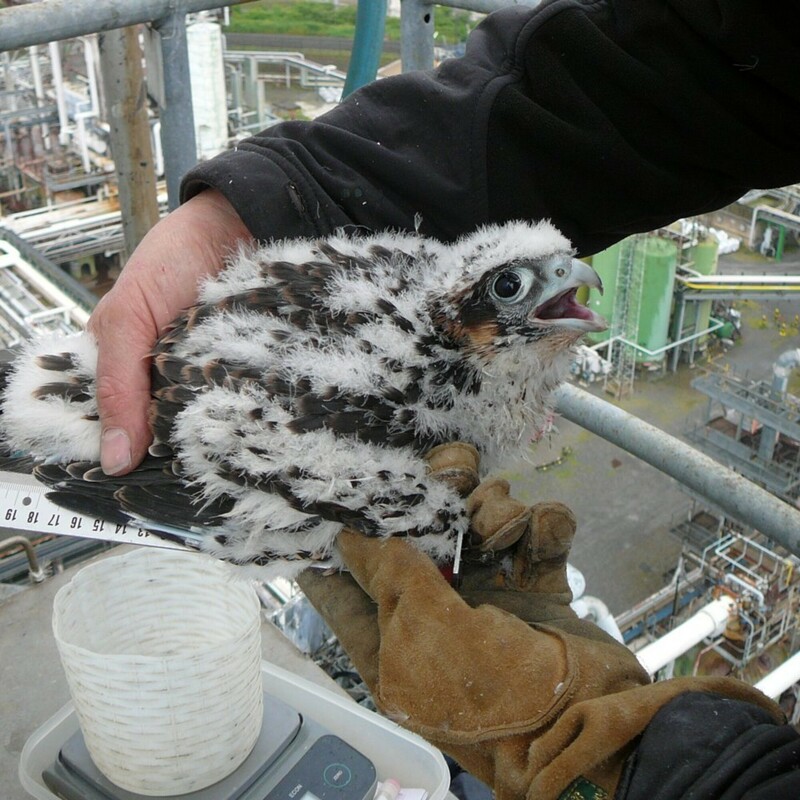 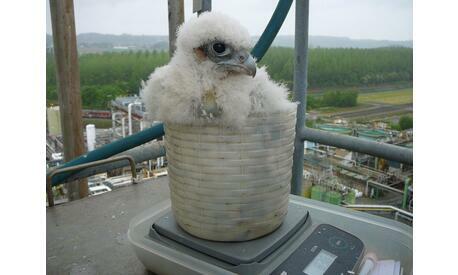 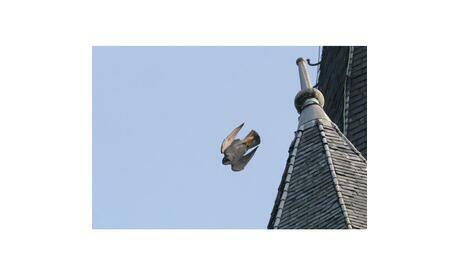 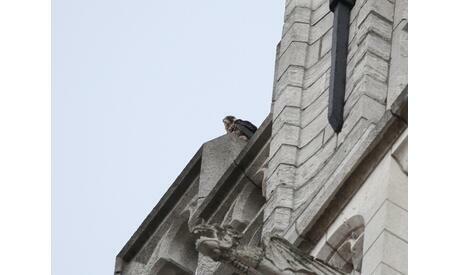 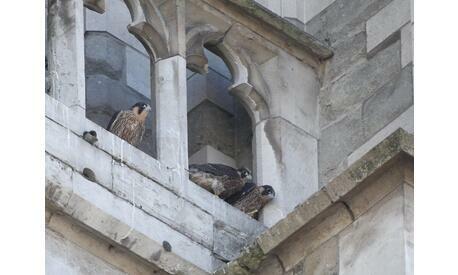 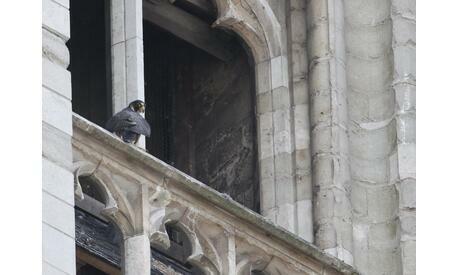 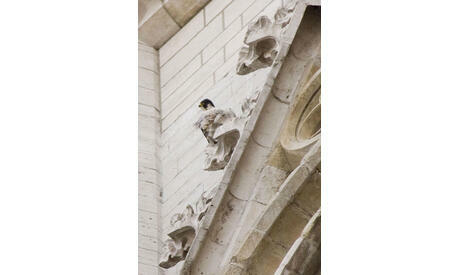 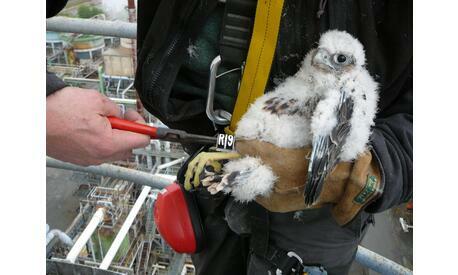 Since, 50 young falcons took flight from the north tower of the cathedral, 55 m high. 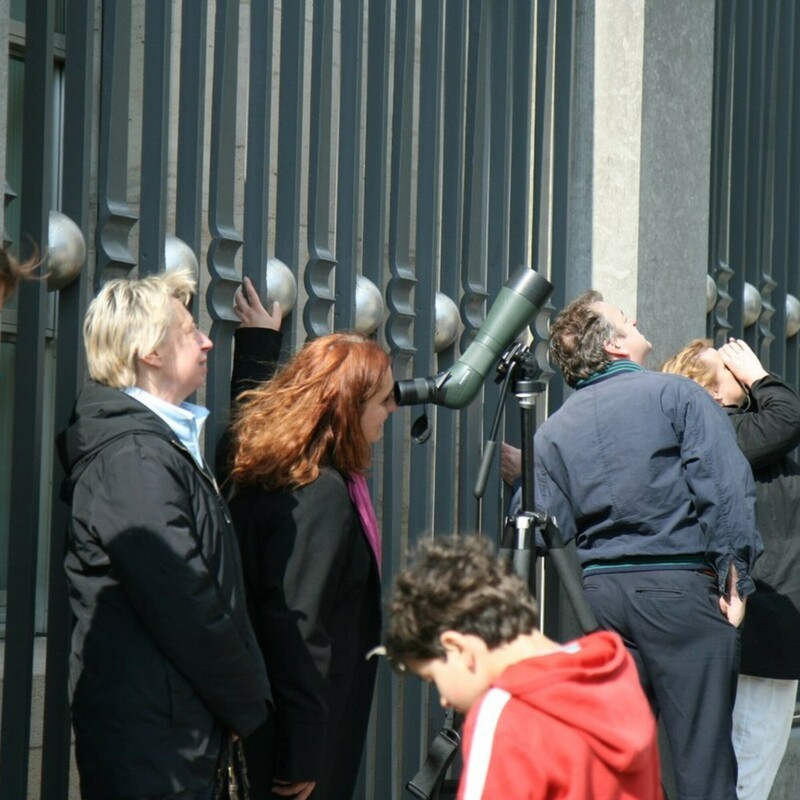 From here you can see all of Brussels, from the Grand Place to the Atomium, from the Altitude 100 tower to the Cinquantenaire arches. 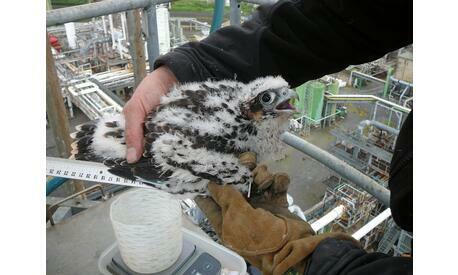 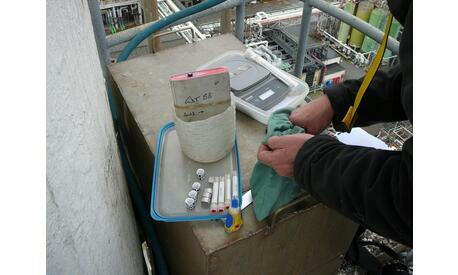 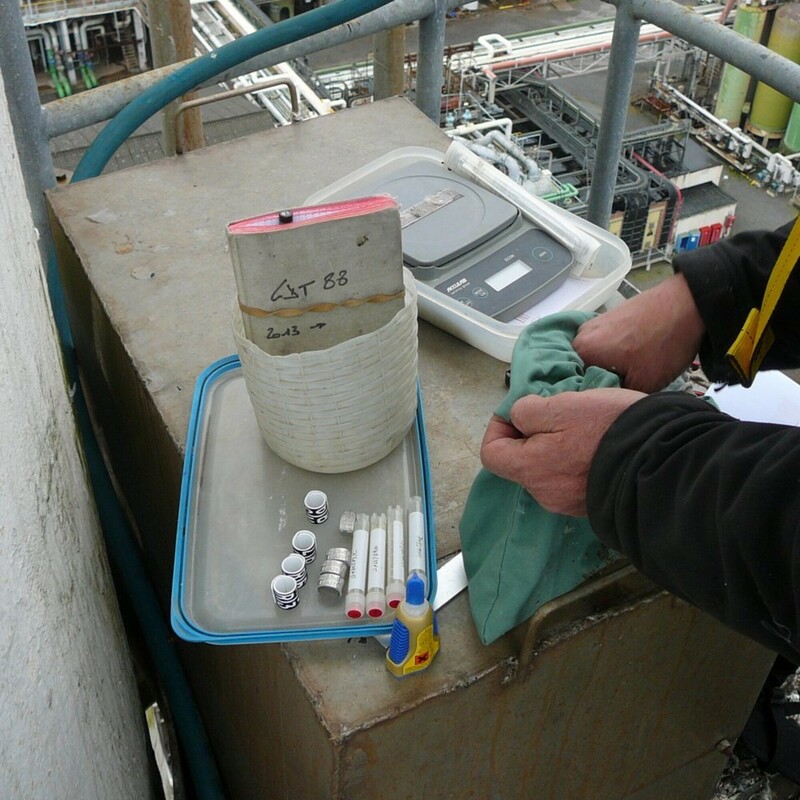 The female who nested last spring was born in 2002, in Germany, 230 km from Brussels. 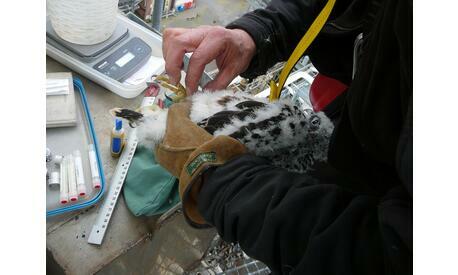 Her ring attests. 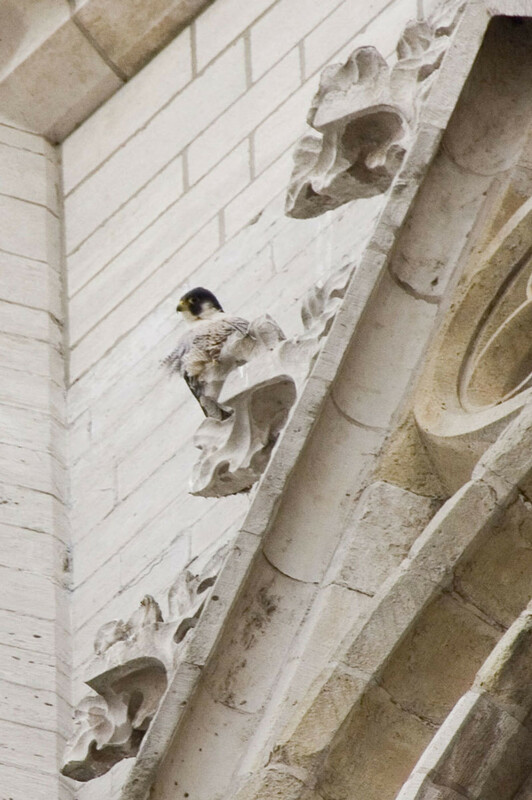 17 years old, she is among the oldest Peregrine in the world! 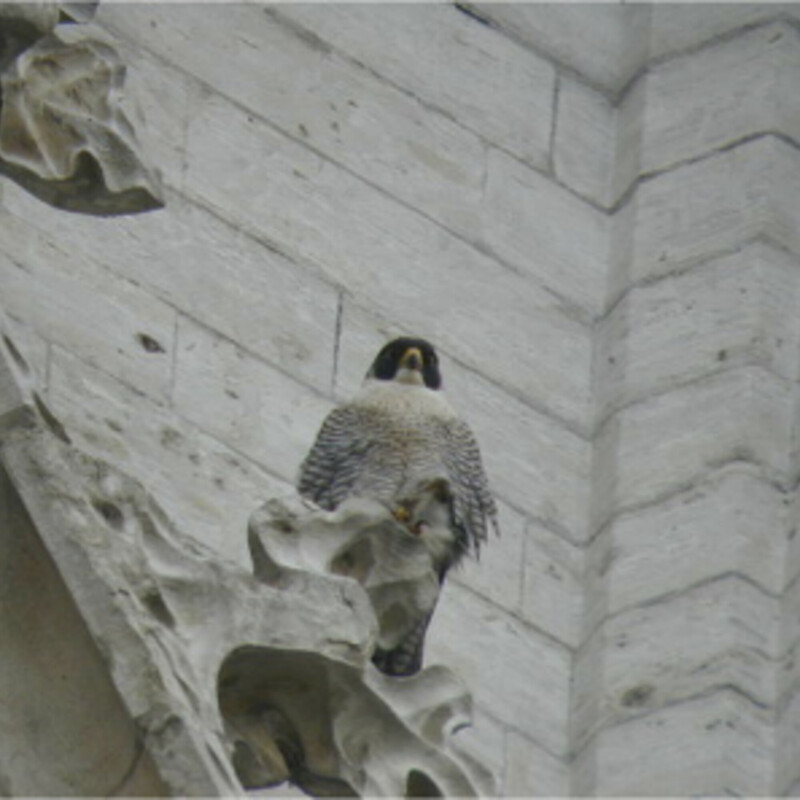 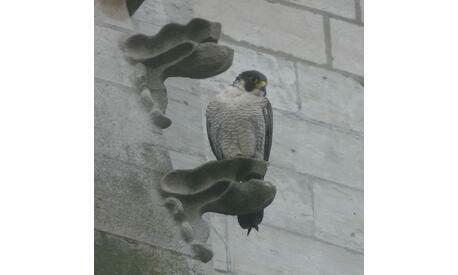 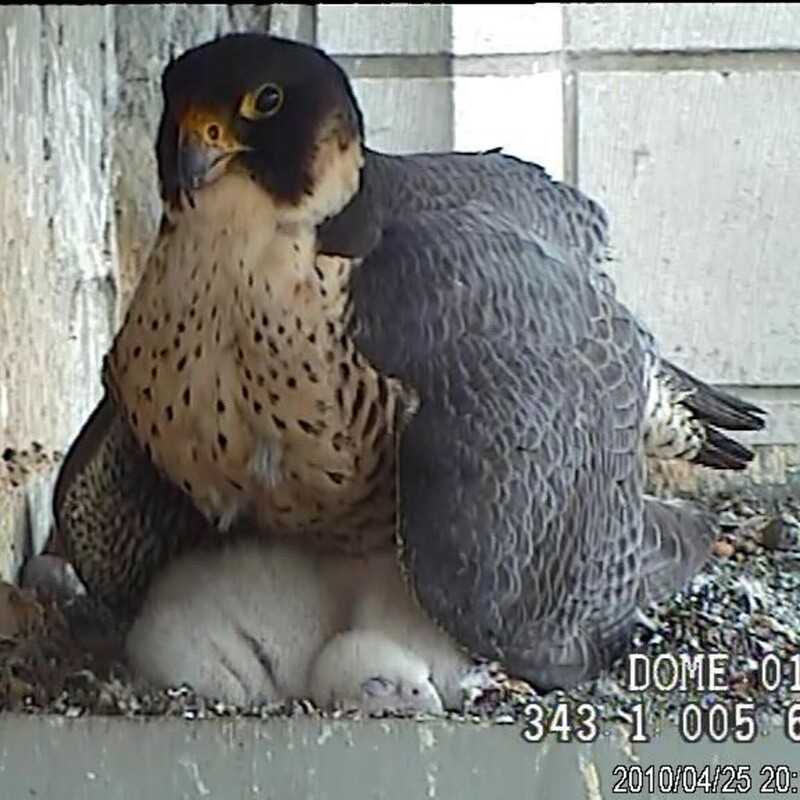 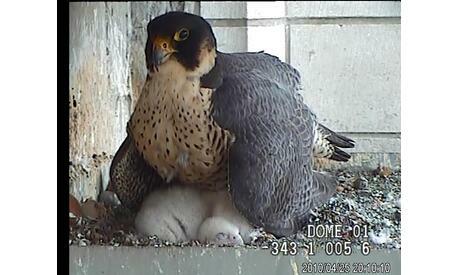 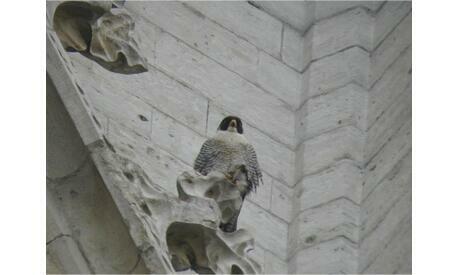 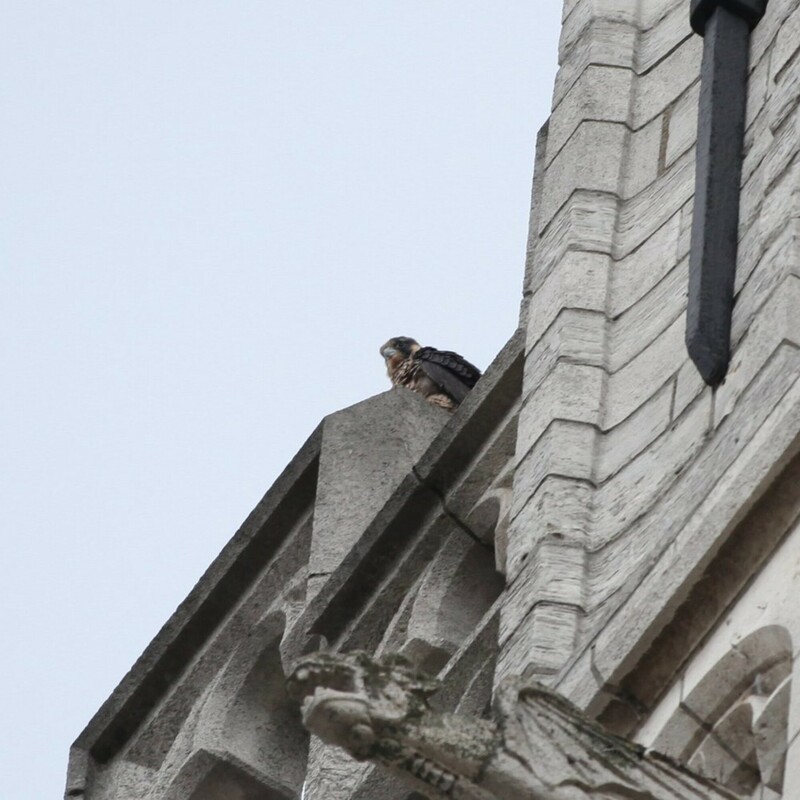 Will she nest again this spring at the cathedral? 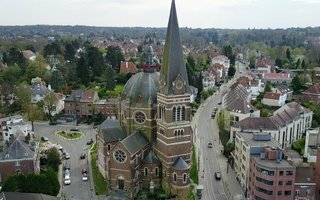 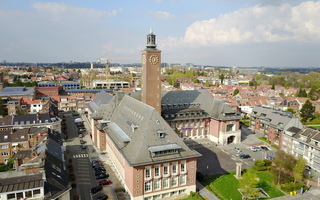 Have the pairs of Woluwe-Saint-Pierre and Uccle come back? 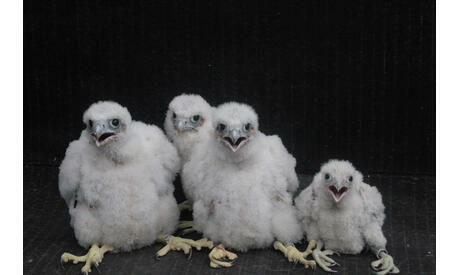 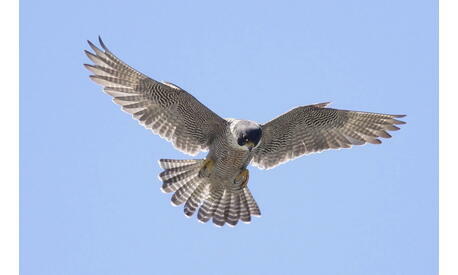 Will new pairs of falcon come to breed this spring in the capital of Europe? 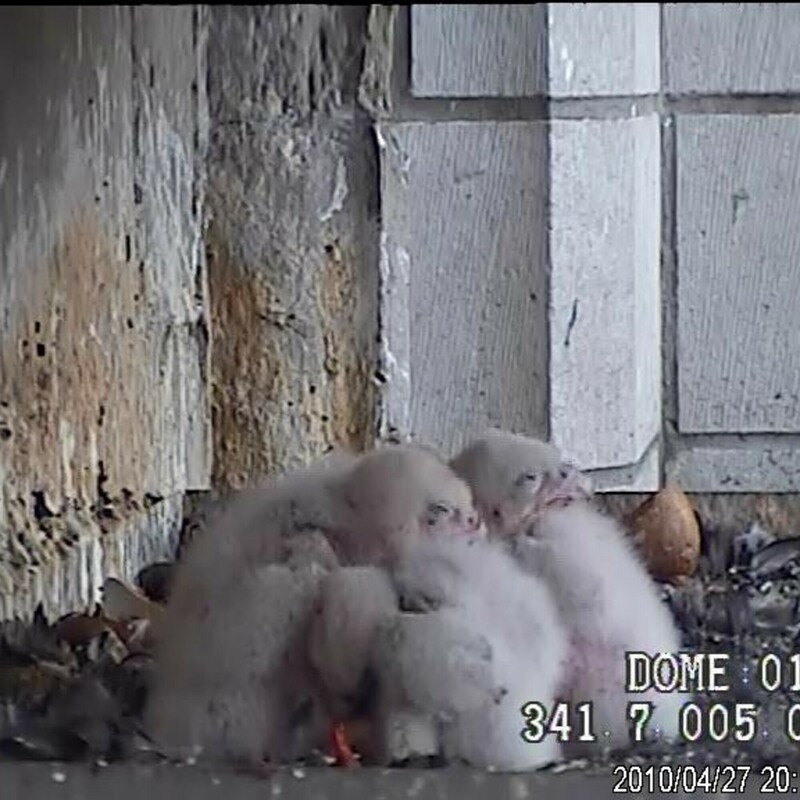 They were 14 last year. 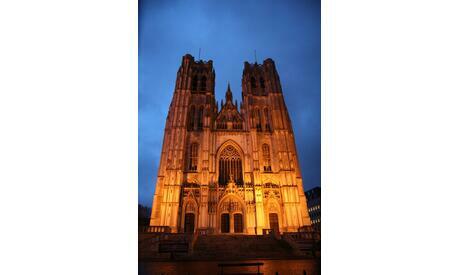 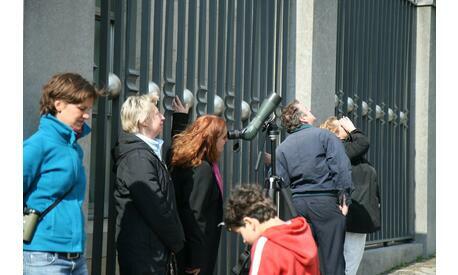 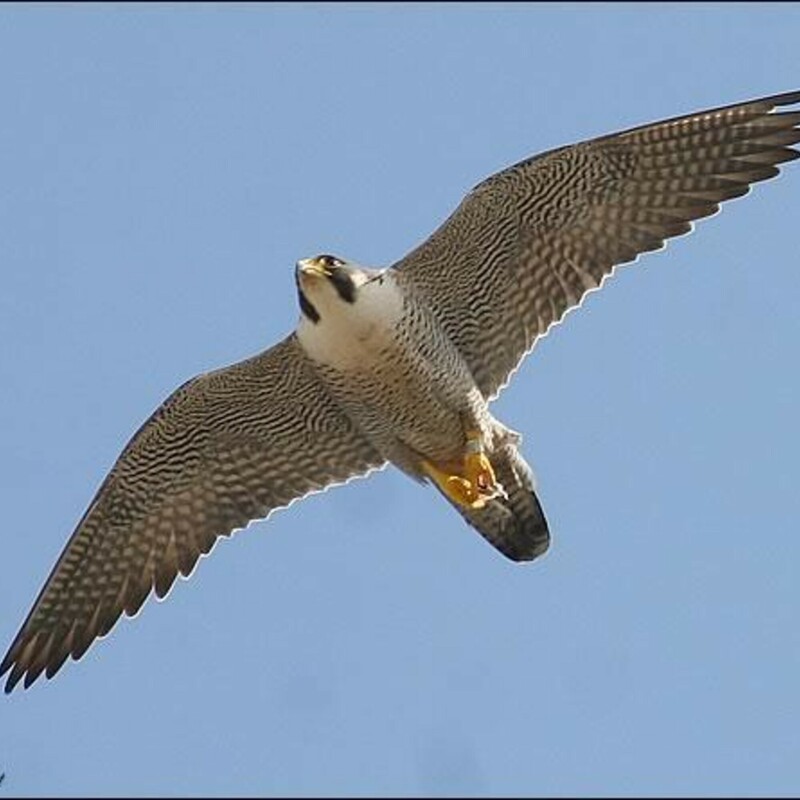 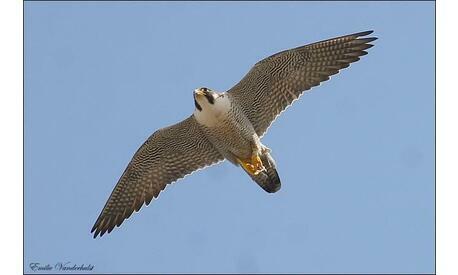 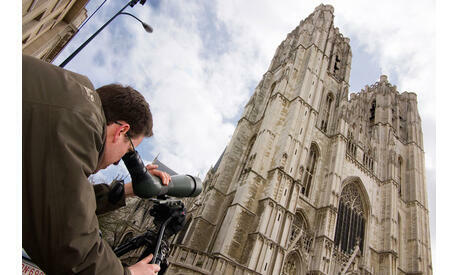 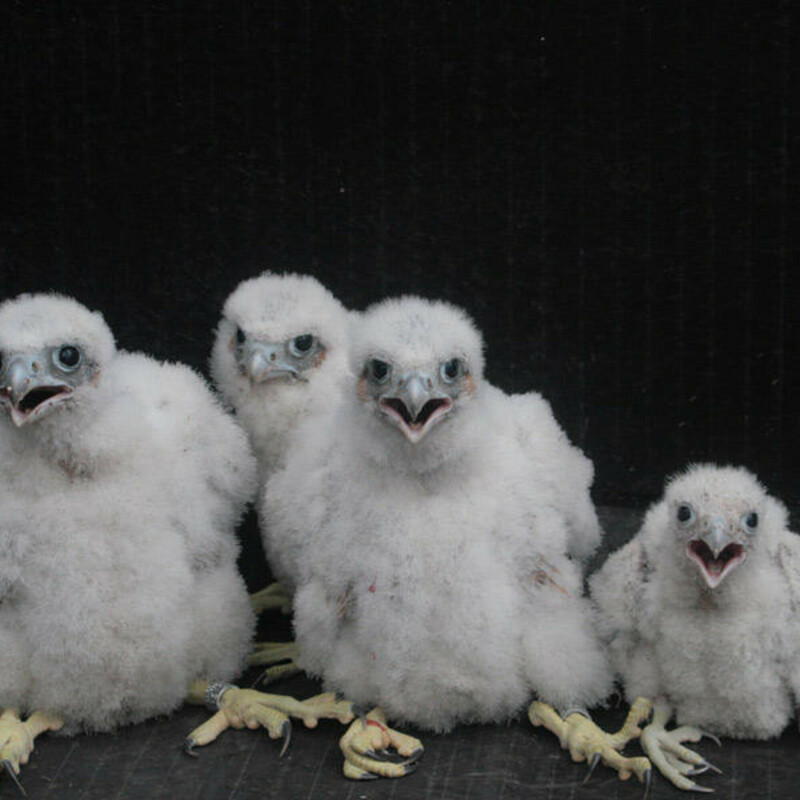 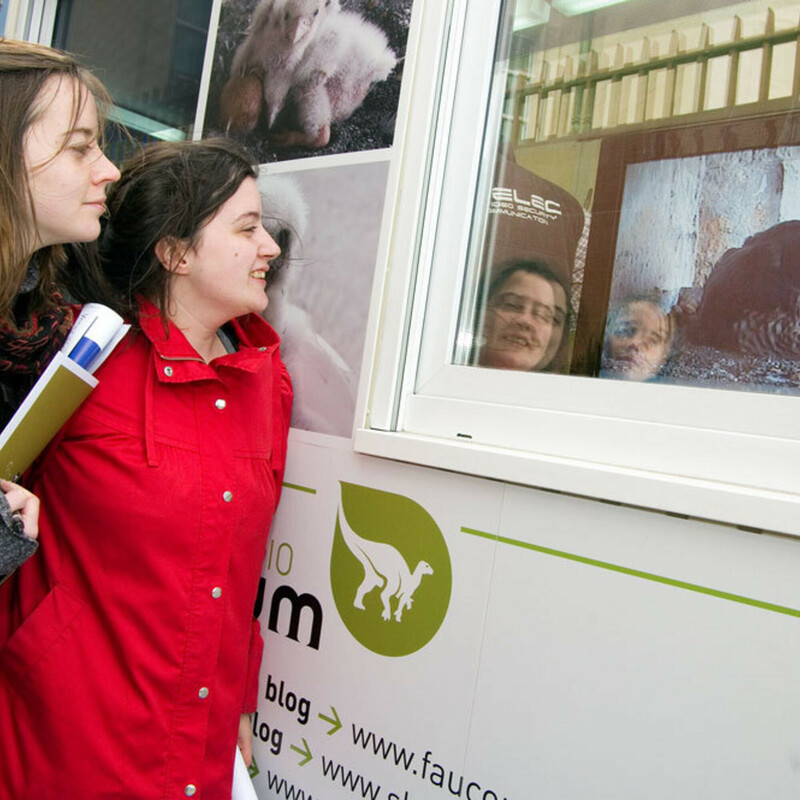 We invite you to observe together the breeding cycle of the Peregrine Falcons settled in Brussels. 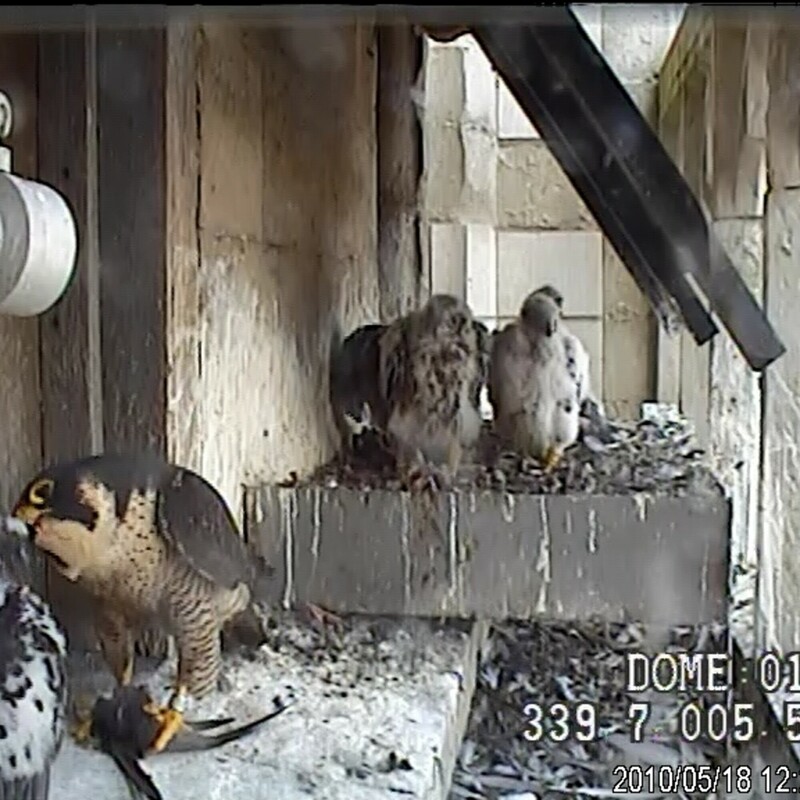 From hatching to fledging. 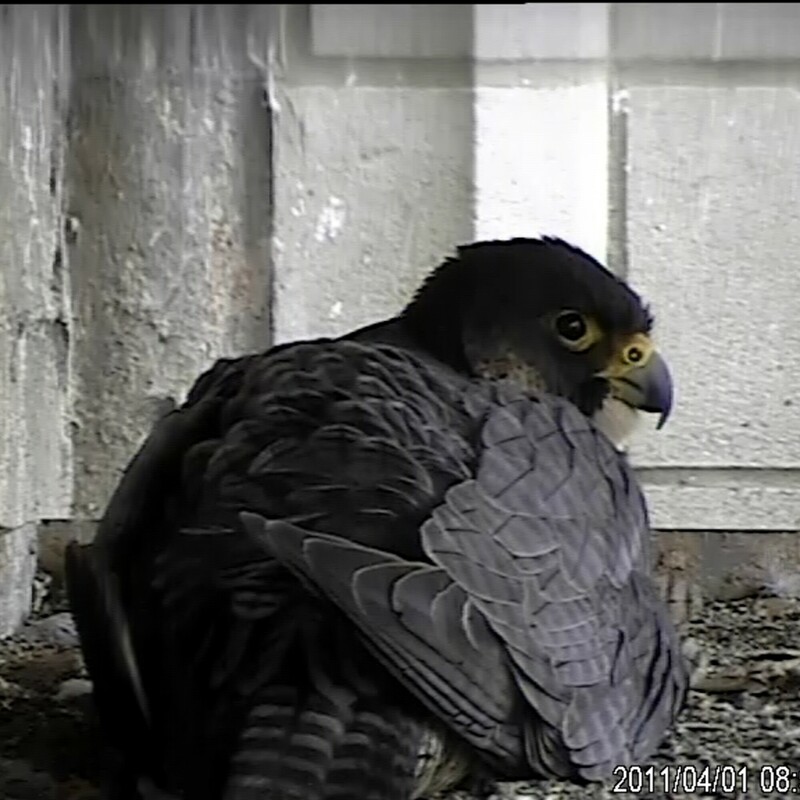 Cameras were installed very near the nests. 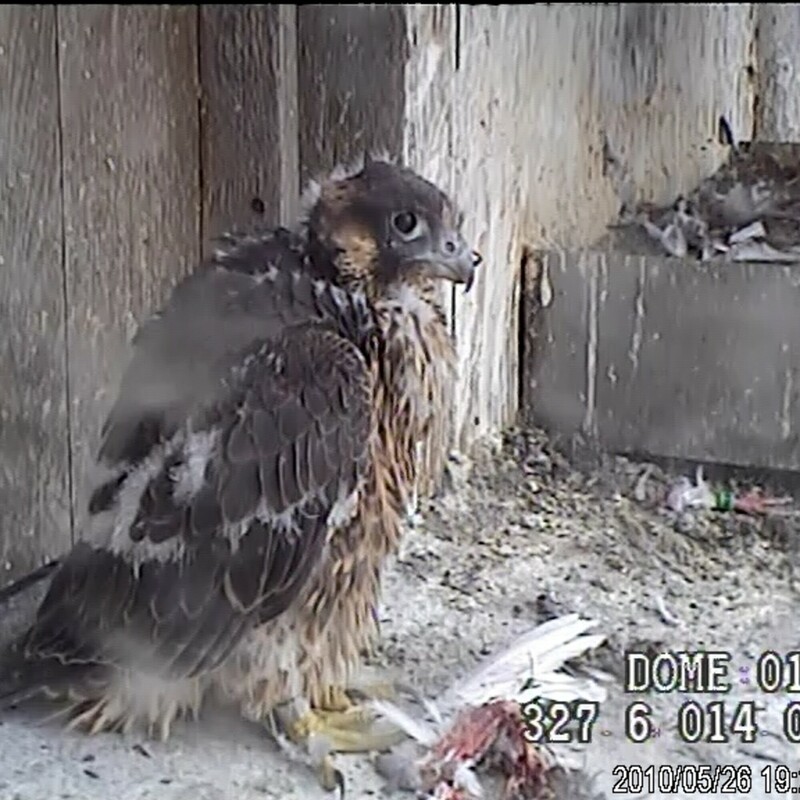 Images are streamed in HD on this website. 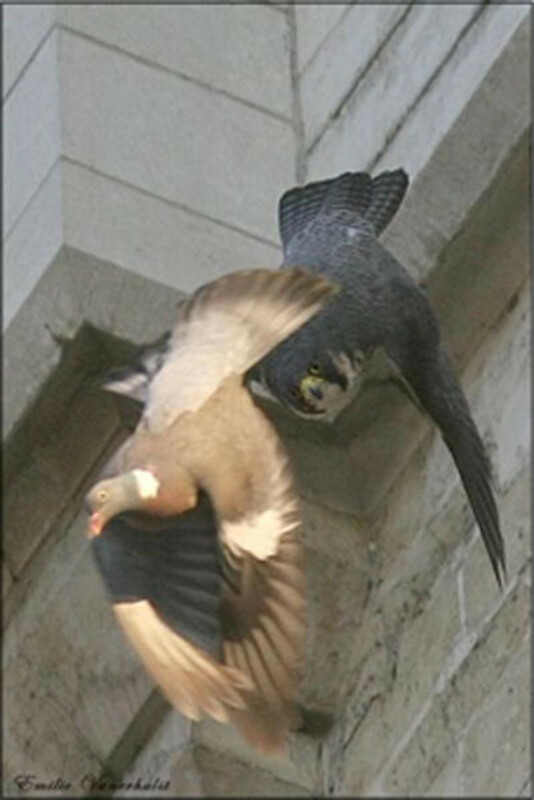 The show is 100% natural. 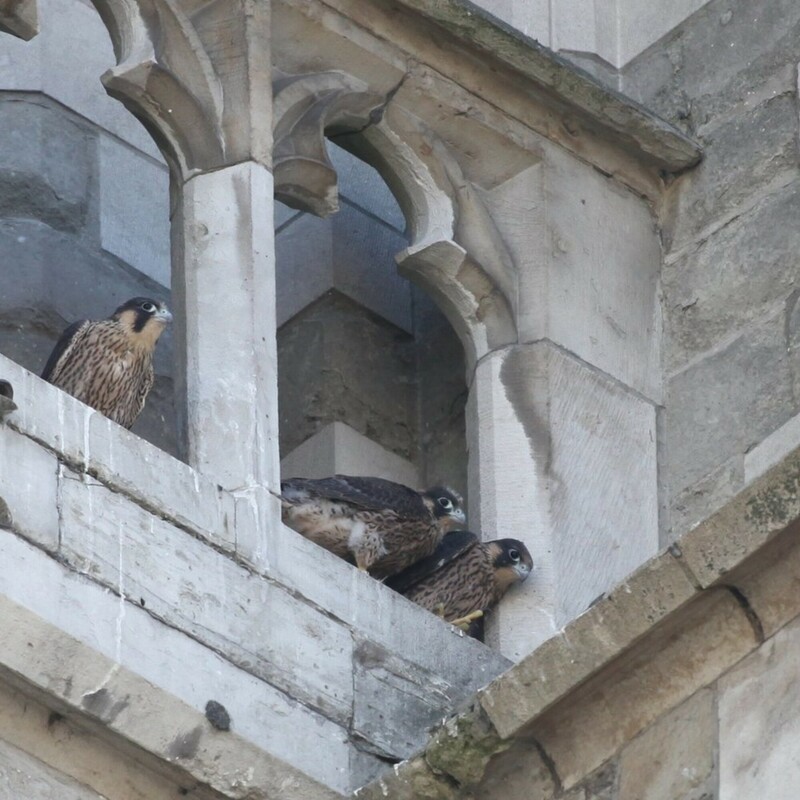 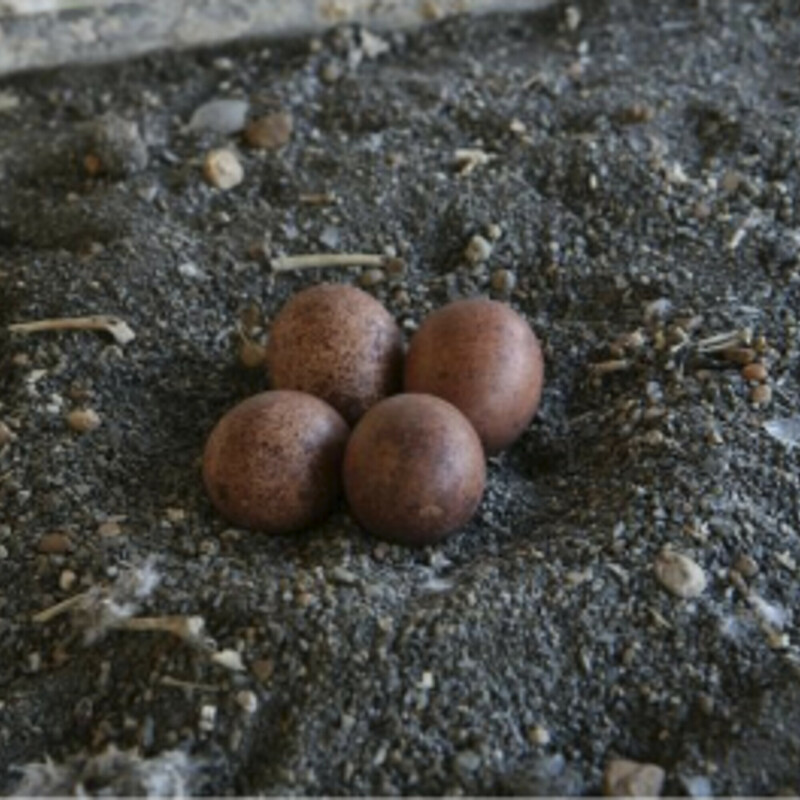 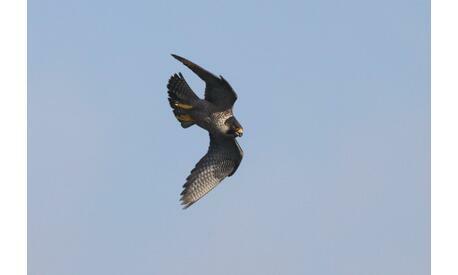 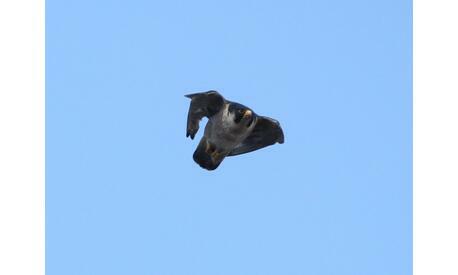 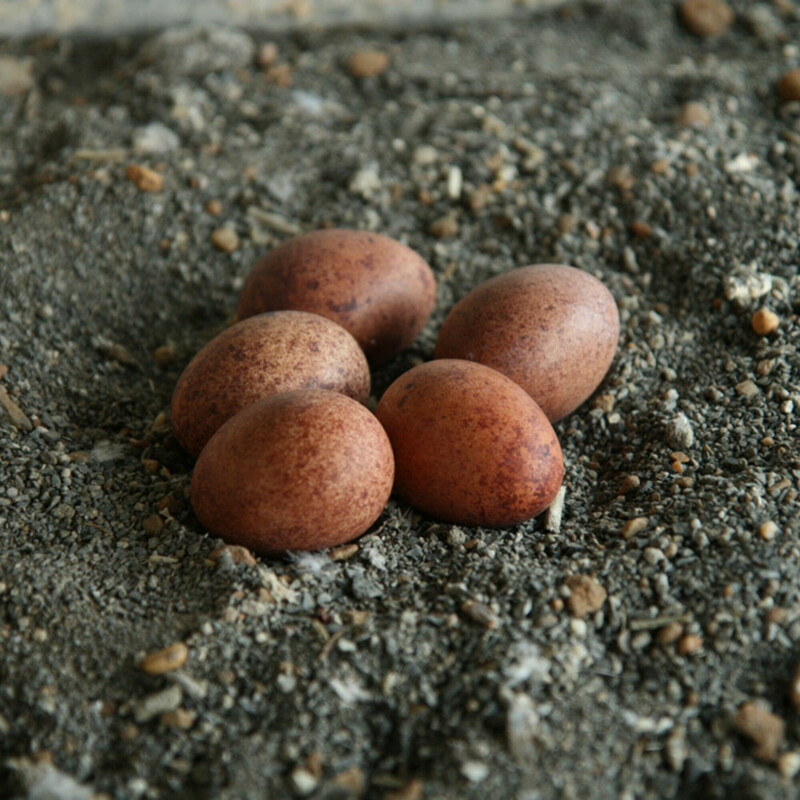 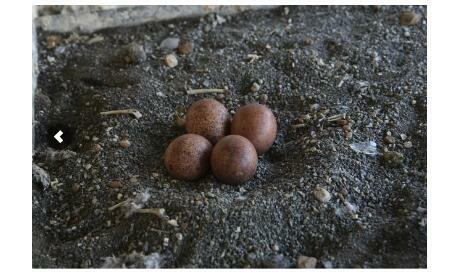 There is no faking, Peregrines came to settle naturally on each site. 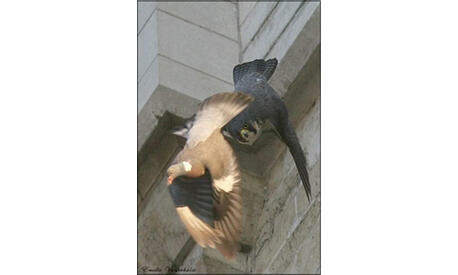 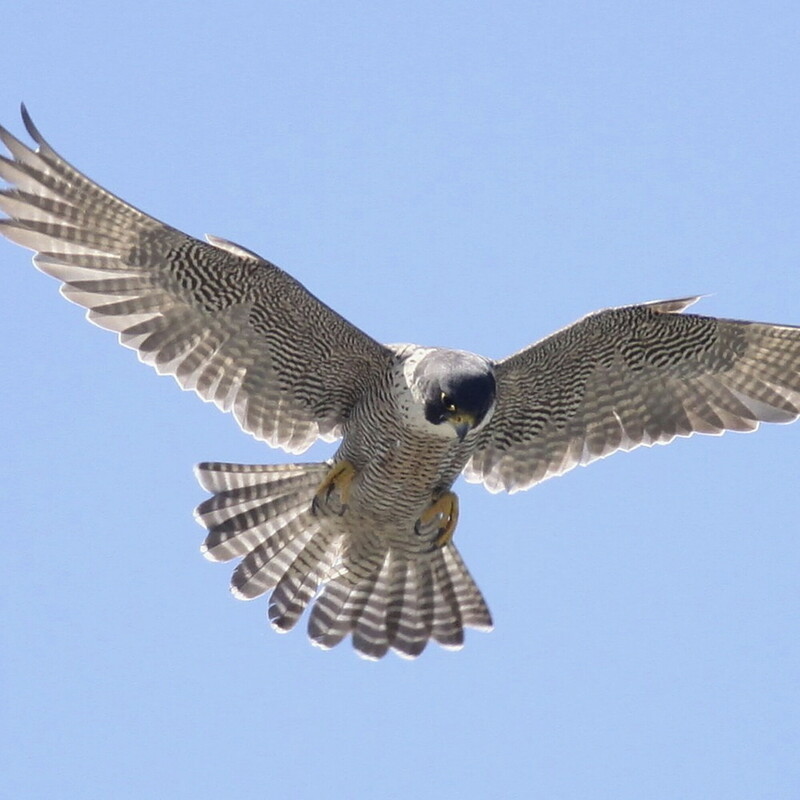 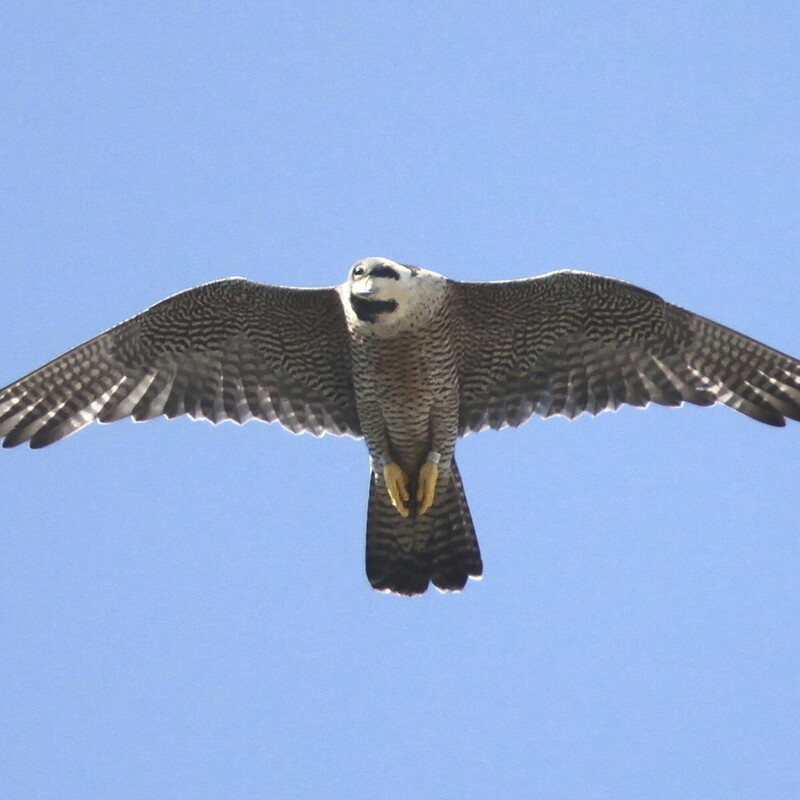 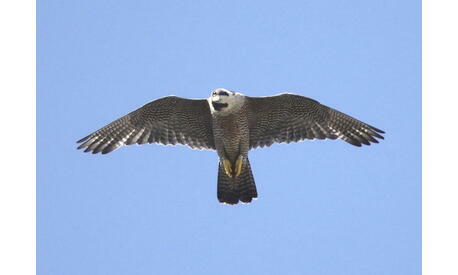 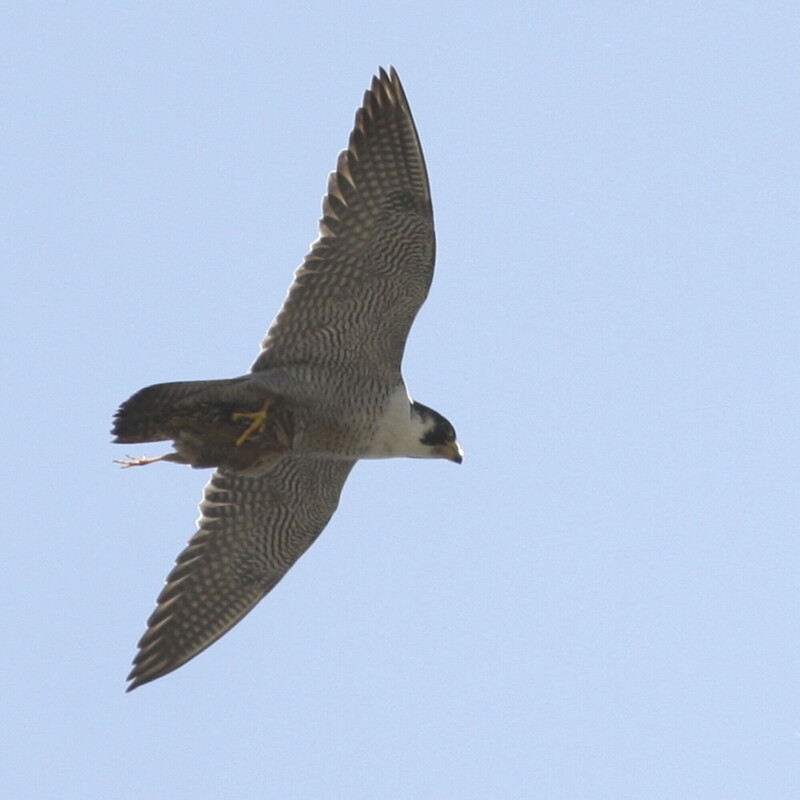 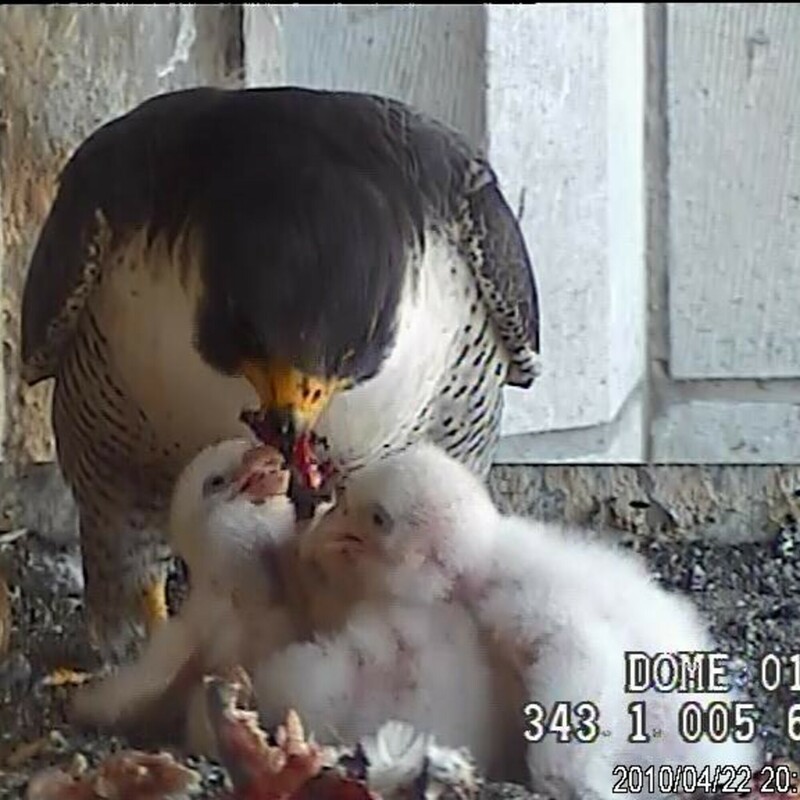 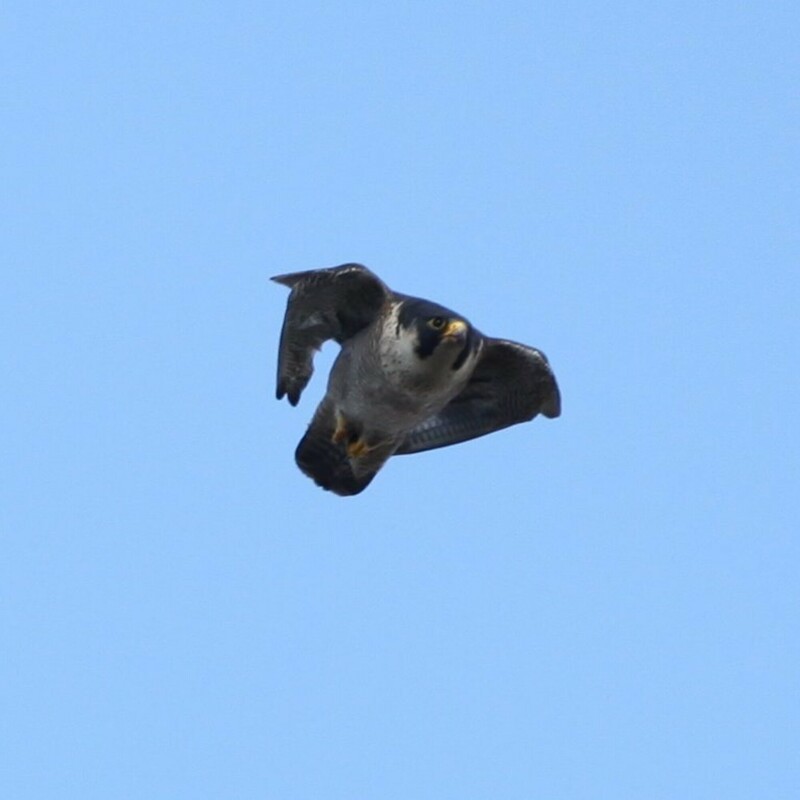 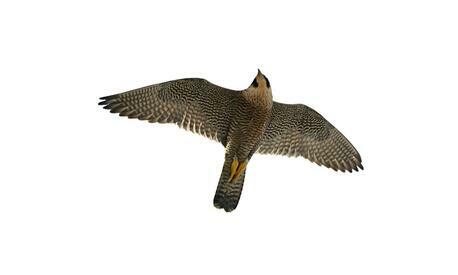 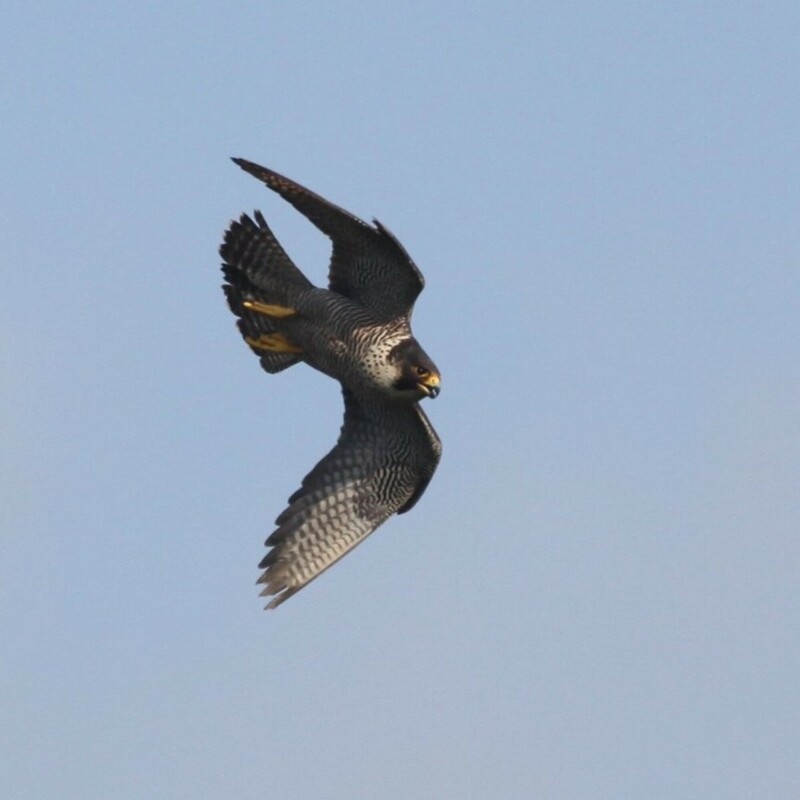 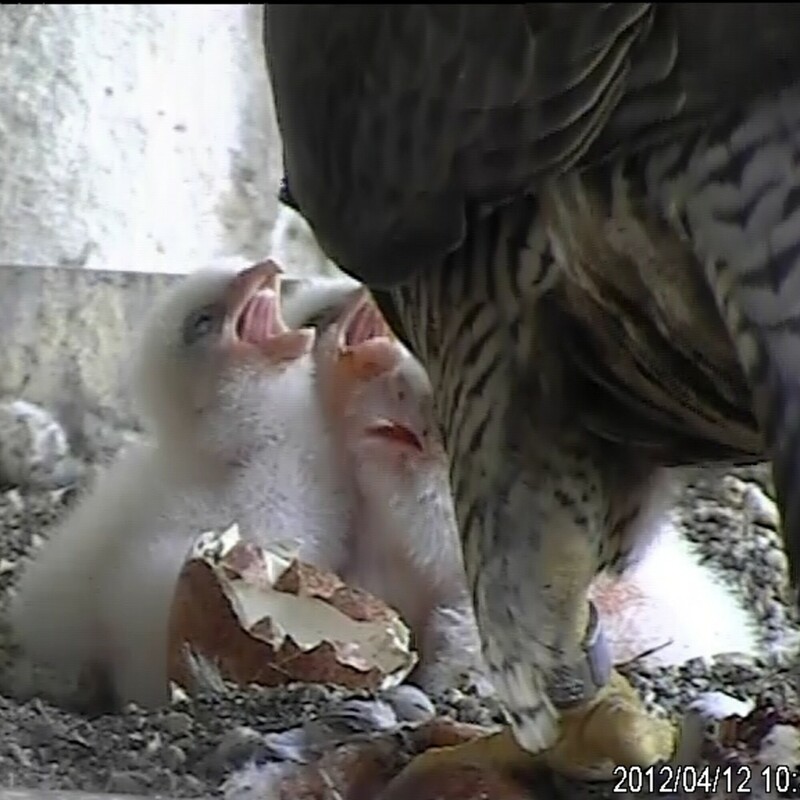 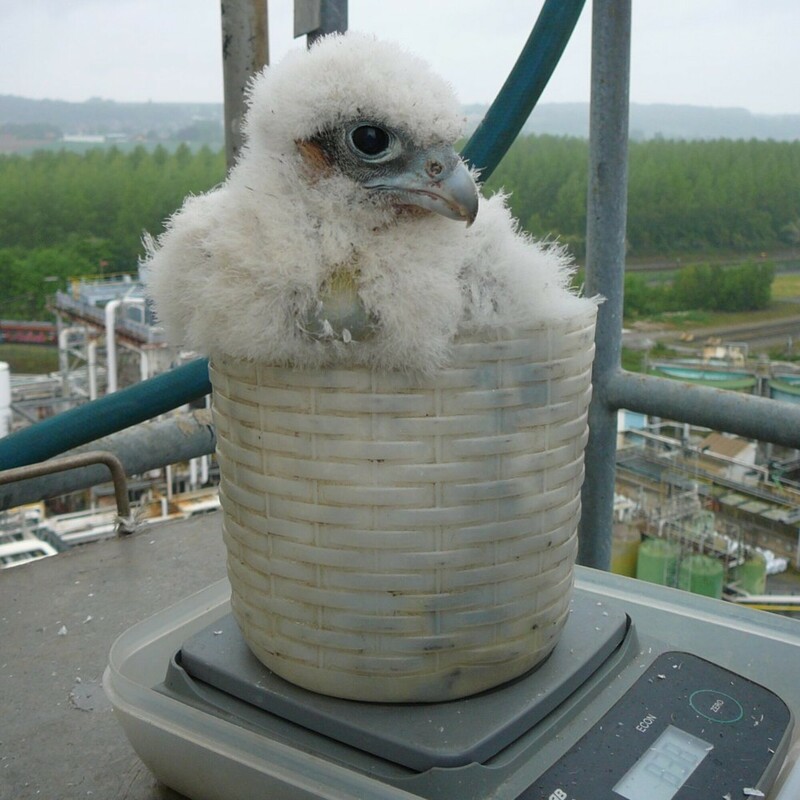 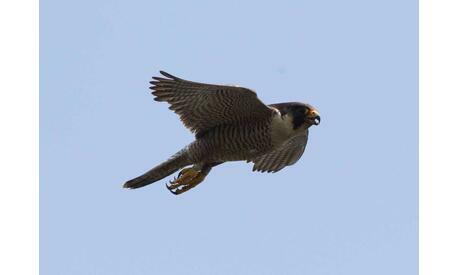 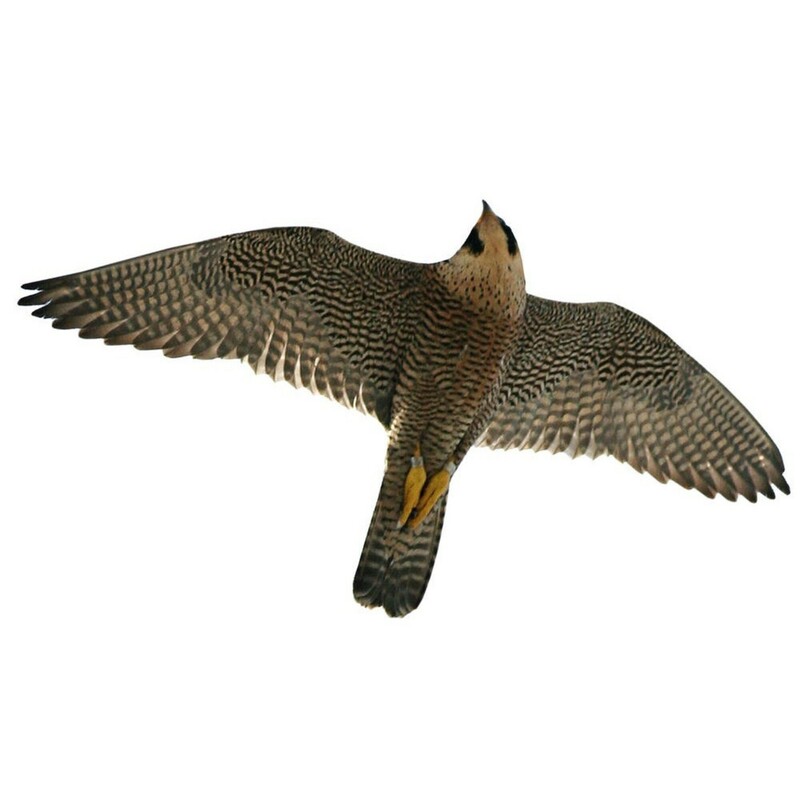 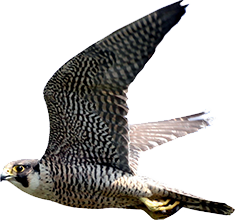 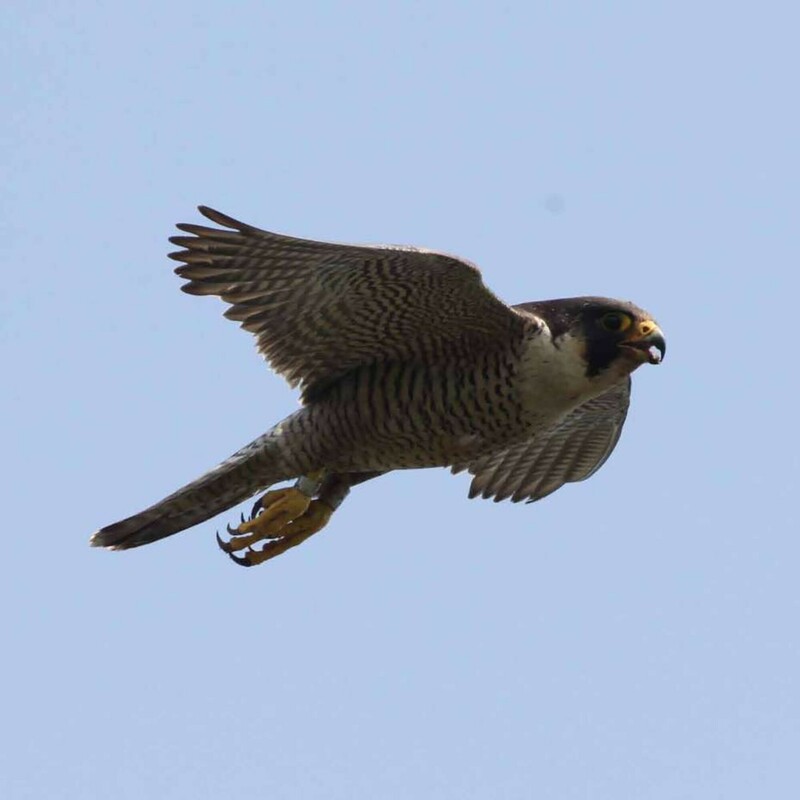 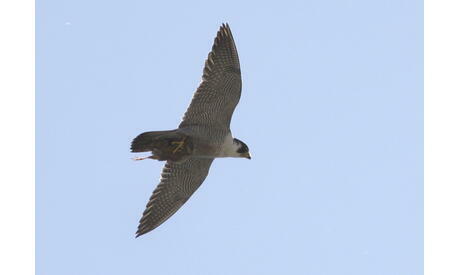 Welcome on the website of the Brussels’s Peregrine falcons! 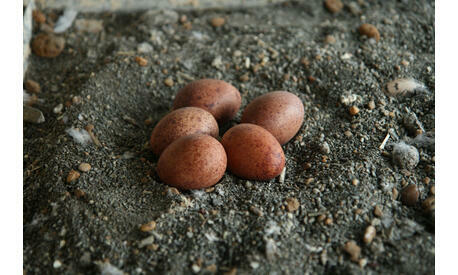 There is a crack in the egg shell! 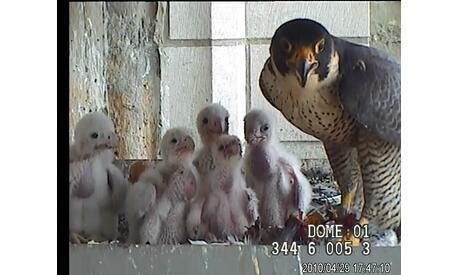 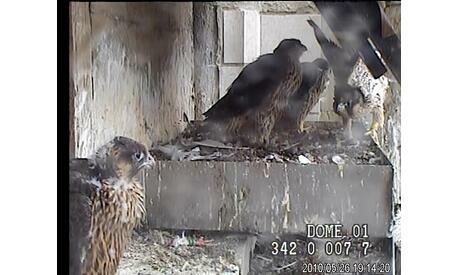 The five young falcons are on the balcony, they'll fledge soon. 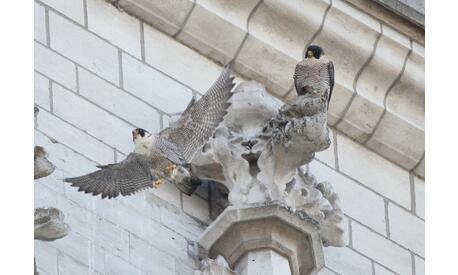 The male is at the edge and encourages one of his young. 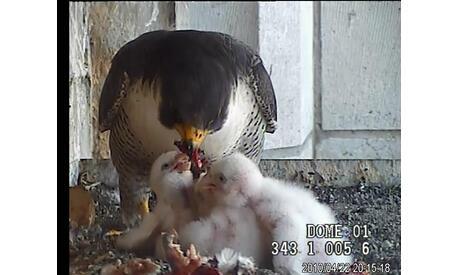 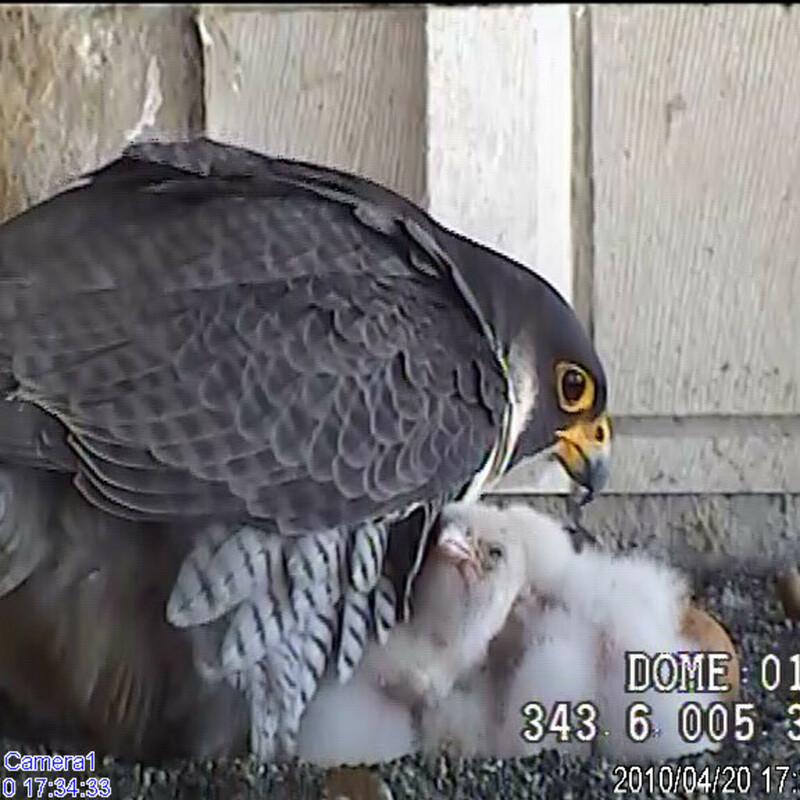 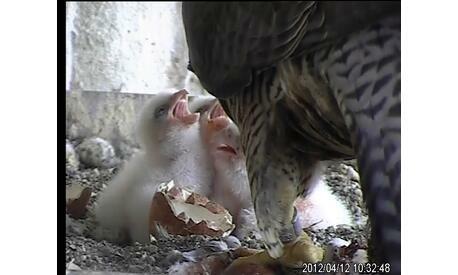 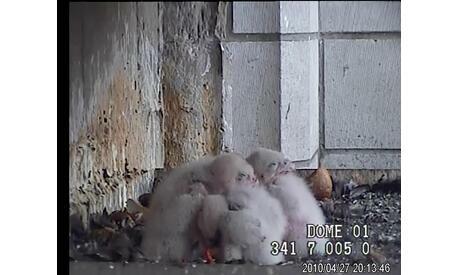 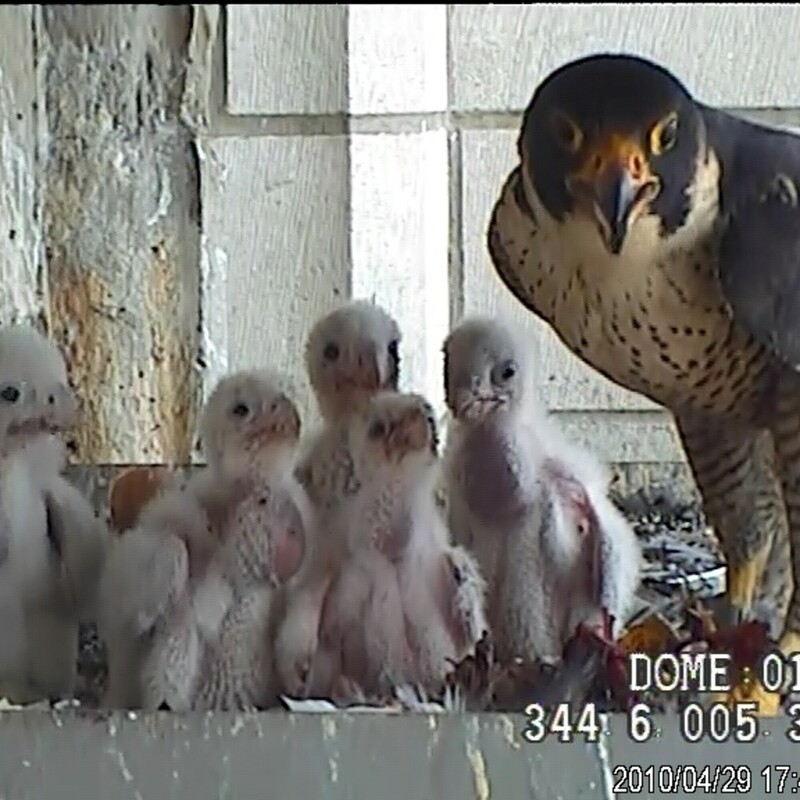 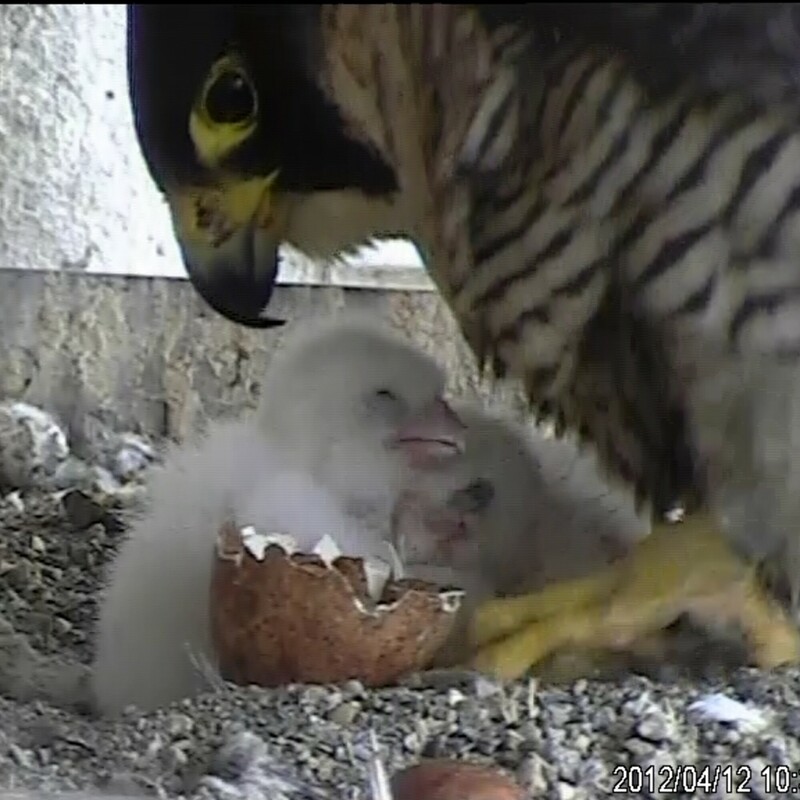 Video 4 : 19/04 21:20 The fifth and final falcon hatches. 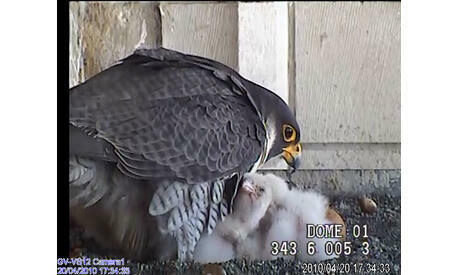 Video 3 : 19/04 13:36 The fifth egg breaks, the chick starts breathing fresh air. 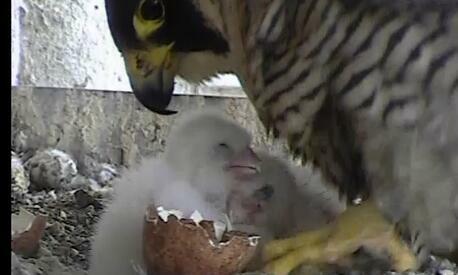 Video 2 : 17/04 19:21 The female covers an empty egg because she thinks it still has to hatch. 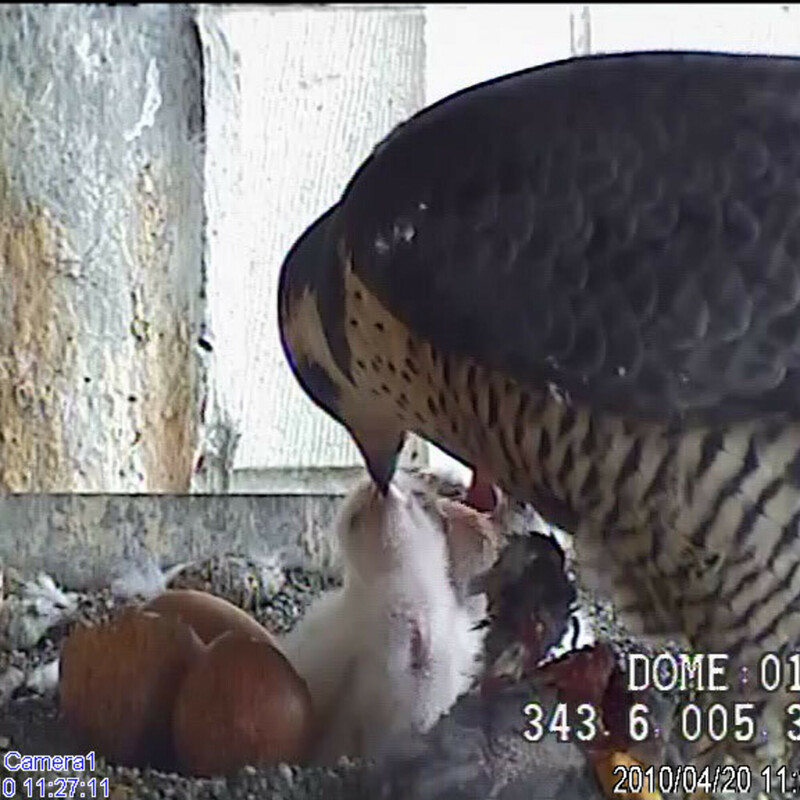 Video 1 : 17/04 12:35 the third egg hatches. 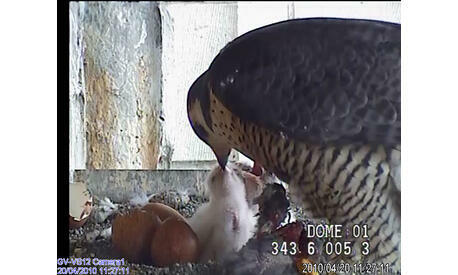 9 April 2013, 12:35, a new attempt by the female. 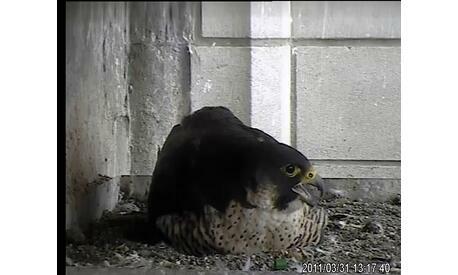 This time the male leaves the nest. 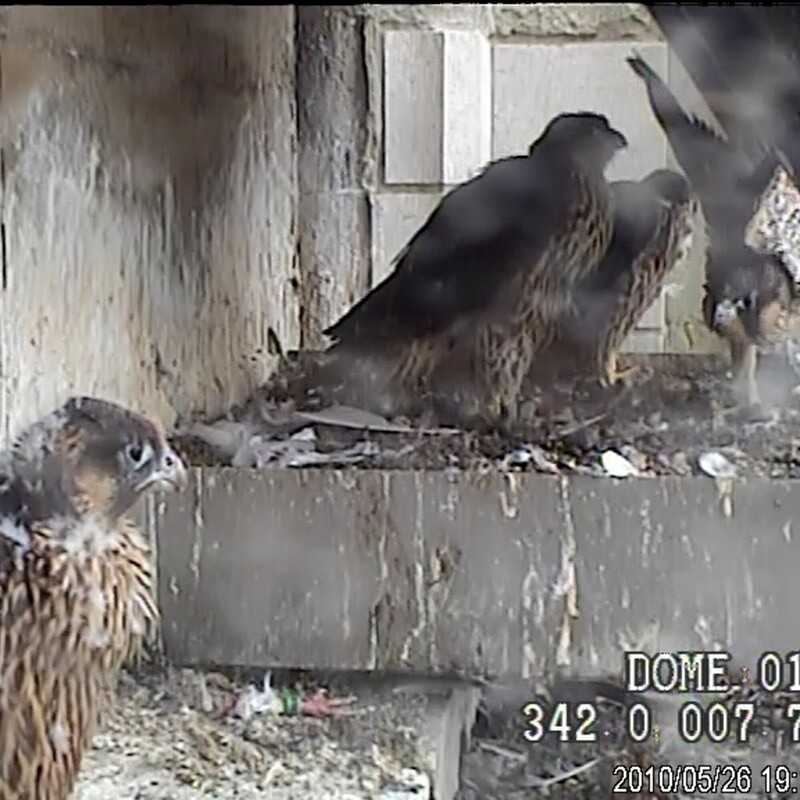 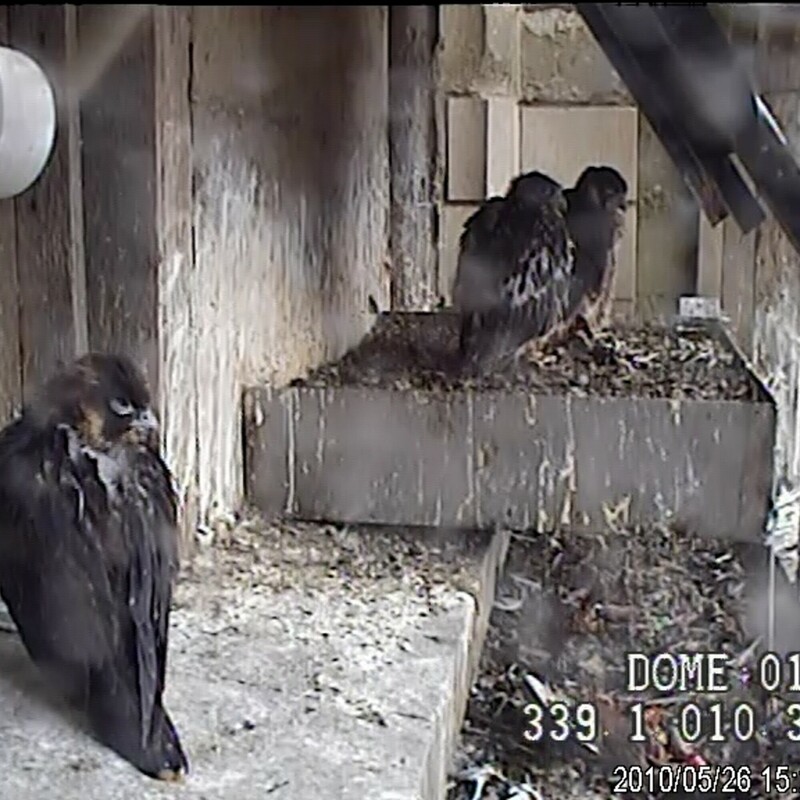 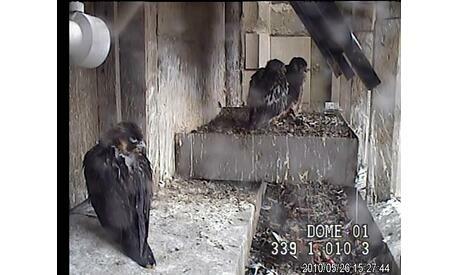 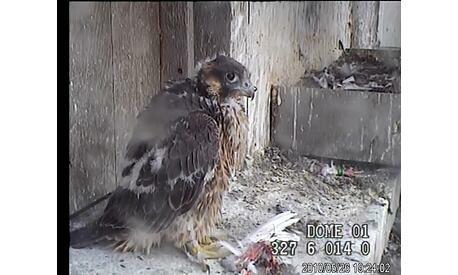 9 avril 2013, 11:14, the female returns to the nest but the male refuses to leave. 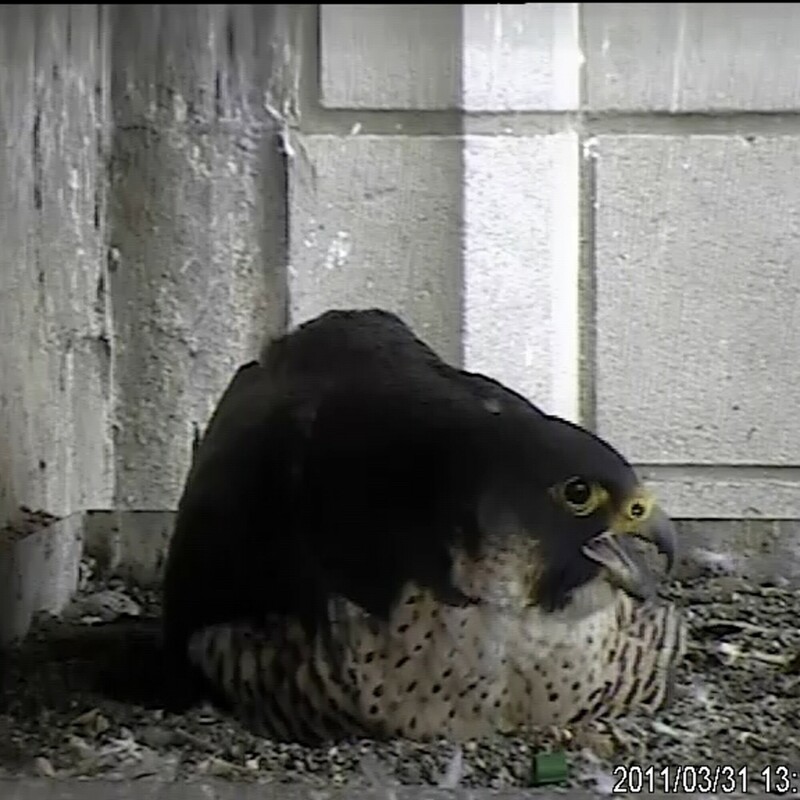 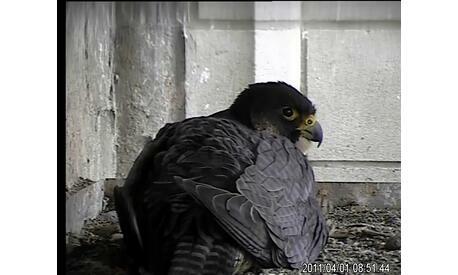 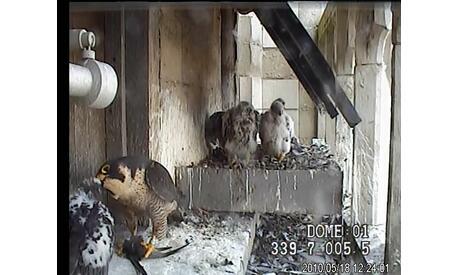 9 April 2013, 06:50, the male takes his turn on the nest.